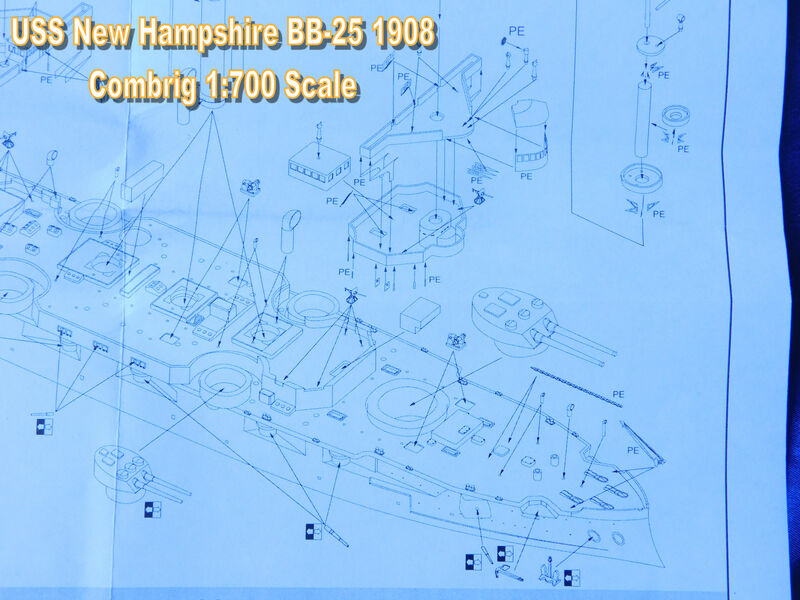 speed of 14 to 15-knots. 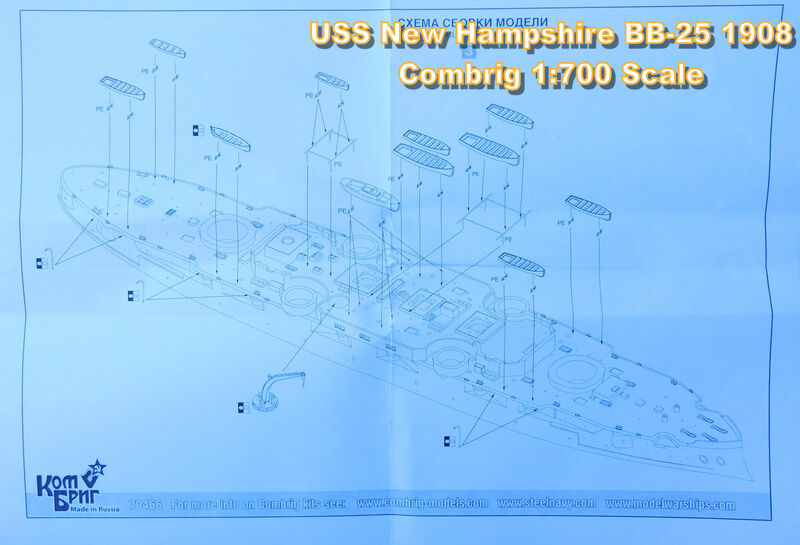 All of these classes were designed and laid down before an event, which would forever change the capital ship design emphasis for the USN. 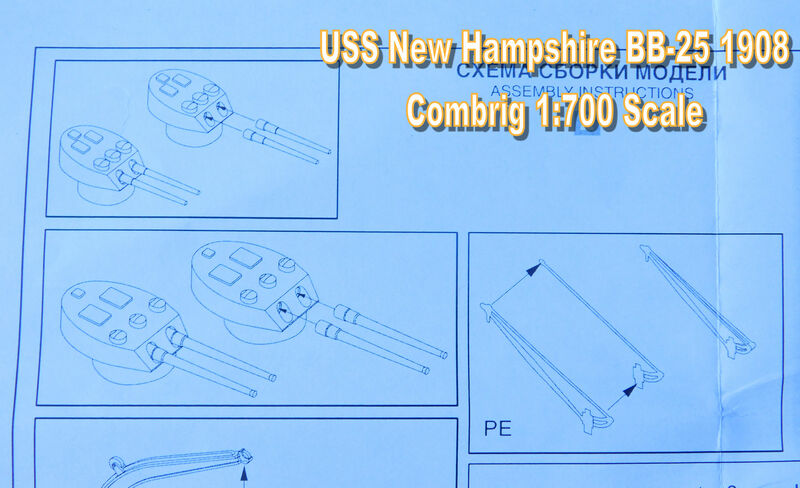 would have sufficient freeboard for worldwide operations. 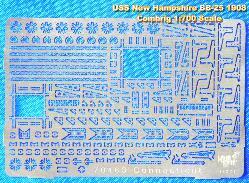 design characteristic upon which the design revolved. 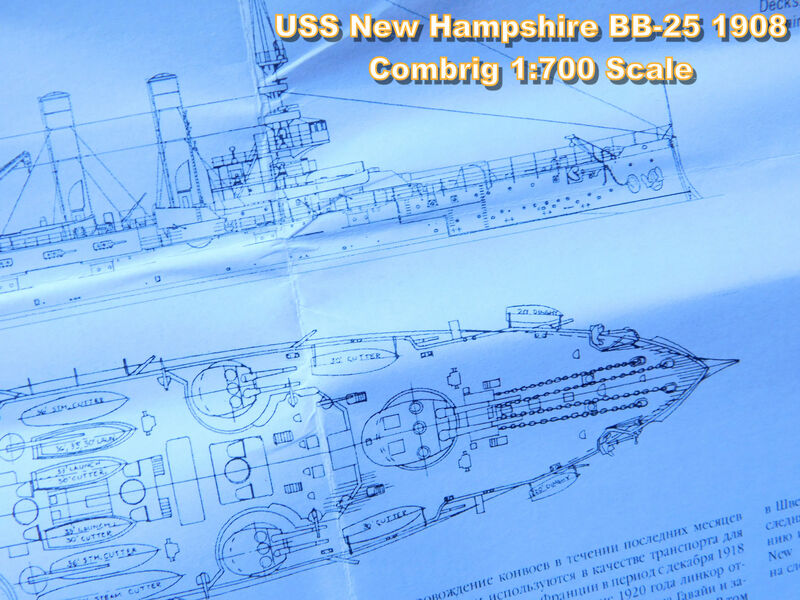 The design board met to consider the requirement but opinion was divided into two camps. 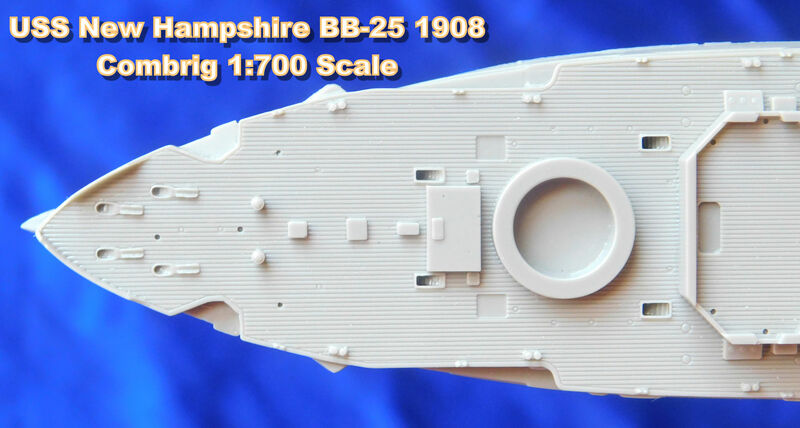 a few years all of the members who wanted superimposed turrets were violently opposed to them when their restrictions became manifest. 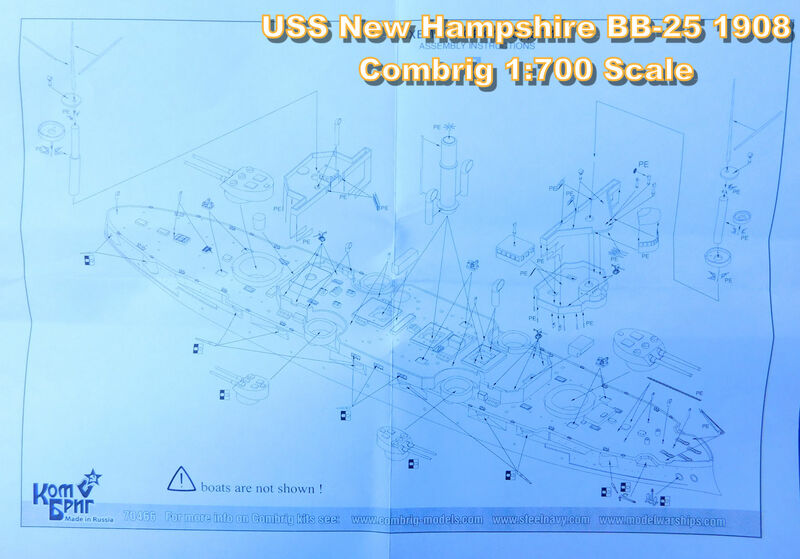 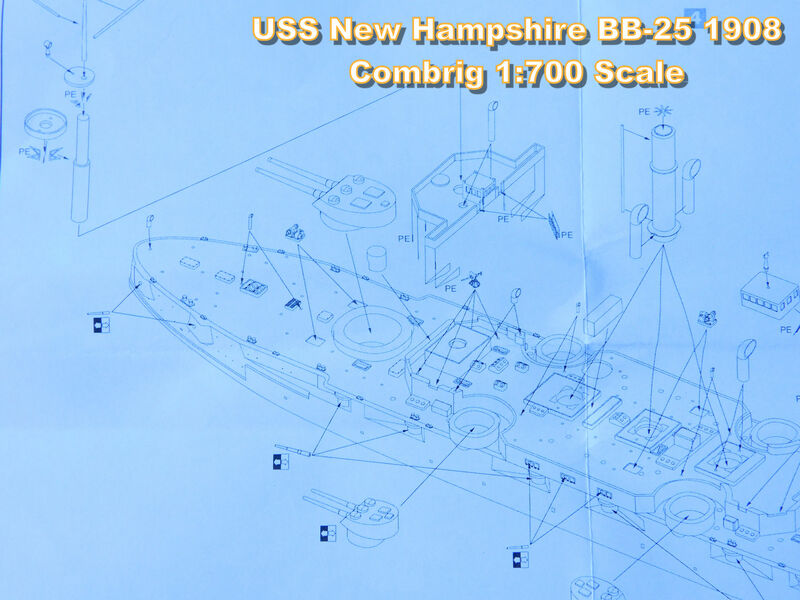 Virginia (BB-16) to be built by Fore River Ship and Engine, Quincy, MA and Rhode Island (BB-17) to be built by Fore River Ship and Engine, Quincy, MA. 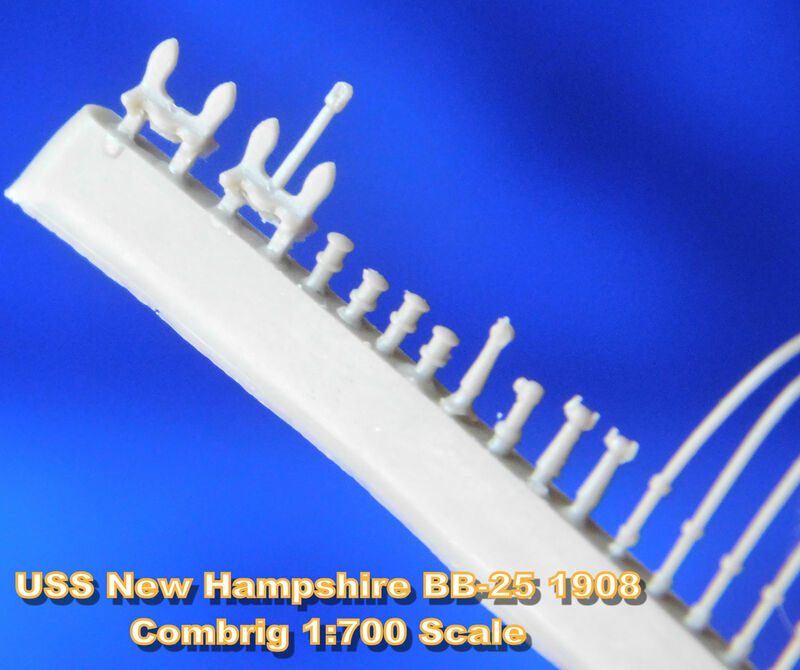 consuming than in previous design. 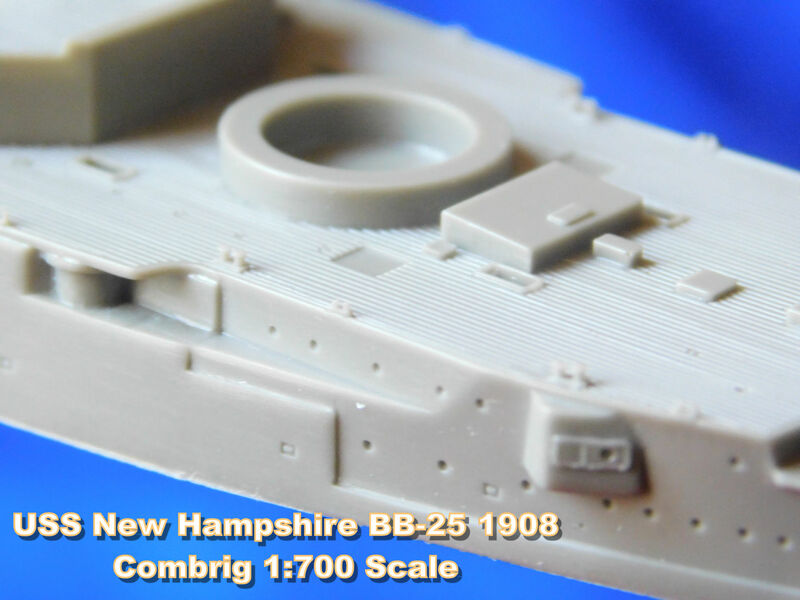 The conning tower had 9-inch armor and the armor deck was 3 to 1.5-inches with 3-inches on the slope to the hull sides. 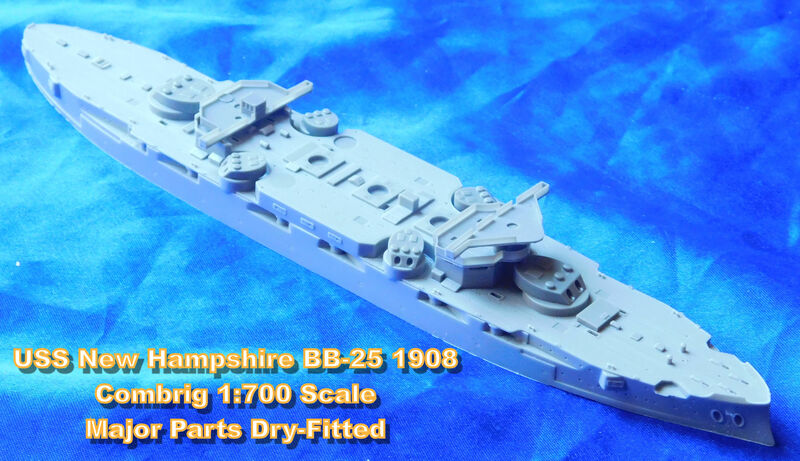 Another war lesson incorporated into the design was the reduction of combustible wood to the highest degree possible. 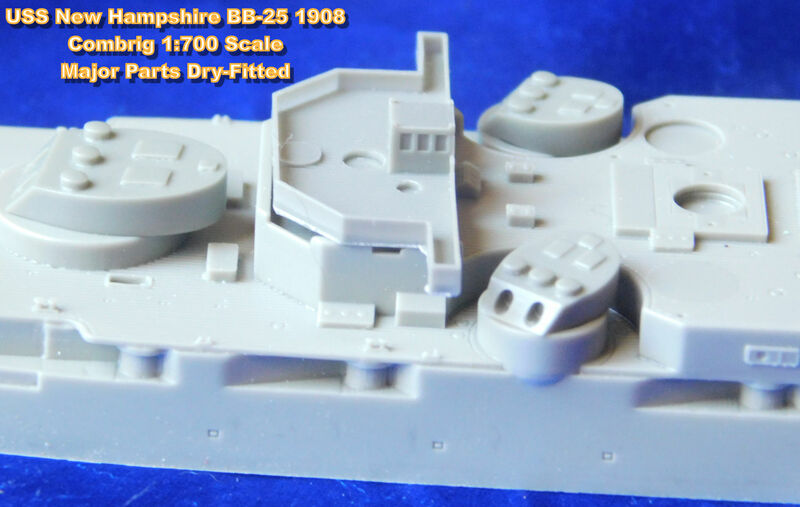 casemates, six in 01 level casemates and the rest in the superstructure in open mounts. 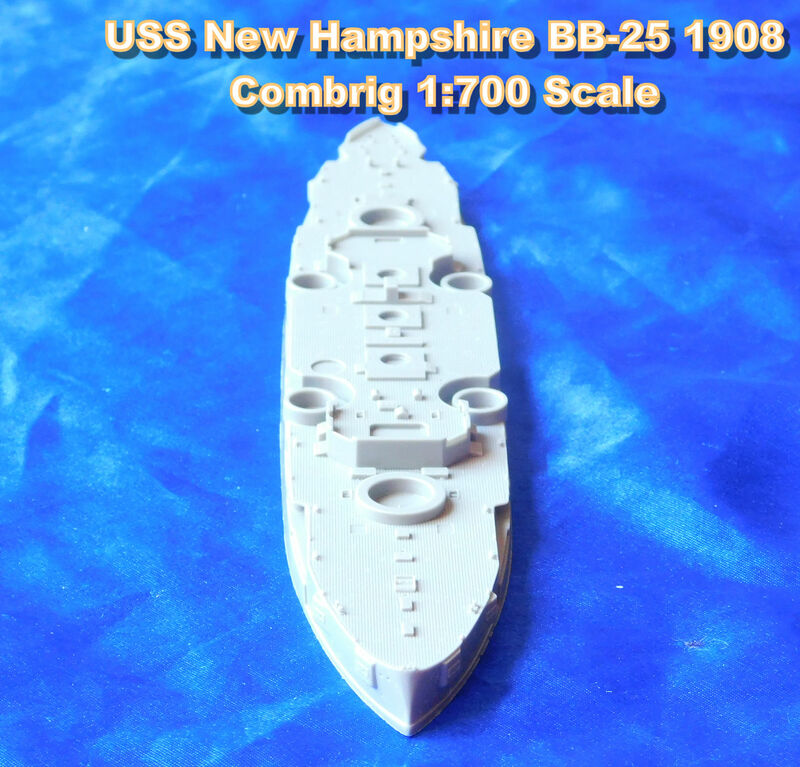 with only two new ships. 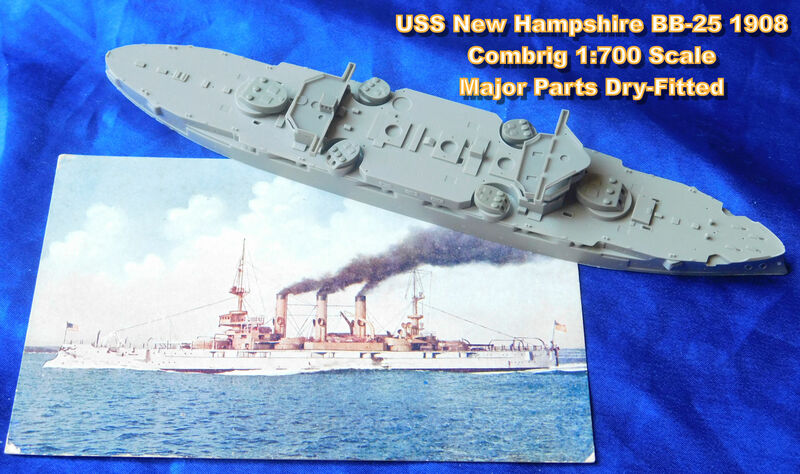 Actual appropriations for the new ships was on July 1, 1902 with a 16,000-tons displacement, up 2,500-tons from the Virginia design. 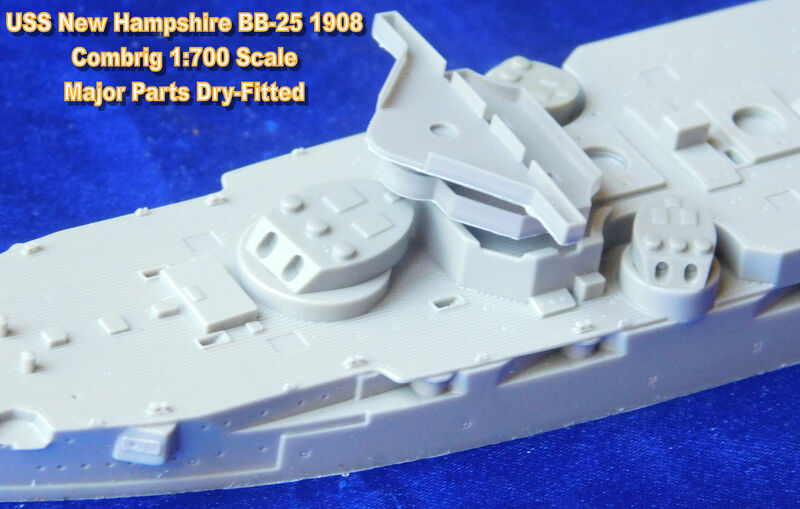 boats, although the hull casemate guns were wet and the bow 3-inch guns almost unusable because the ram bow tended to throw up huge spray at any speed. 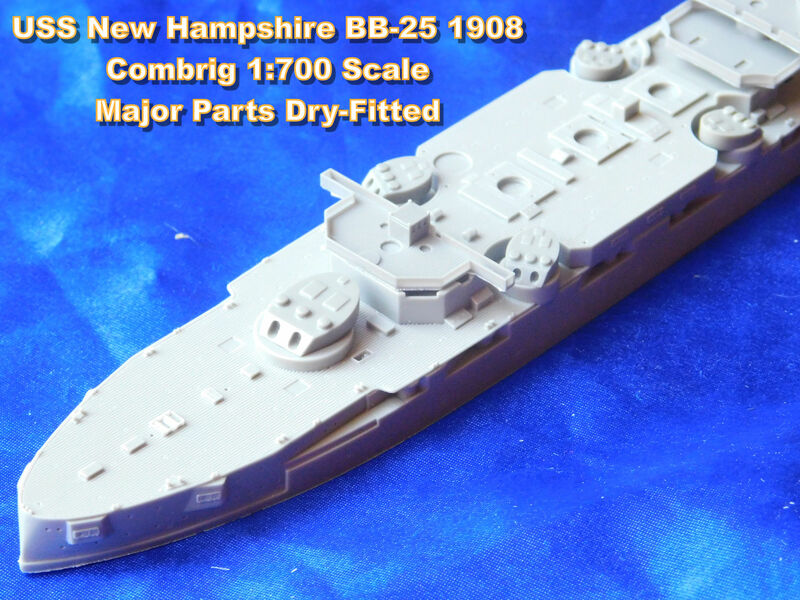 three more Connecticuts, dropped the armored cruiser, and added two smaller battleships of 13,000-tons, which became the Mississippi BB-23 and Idaho BB-24. 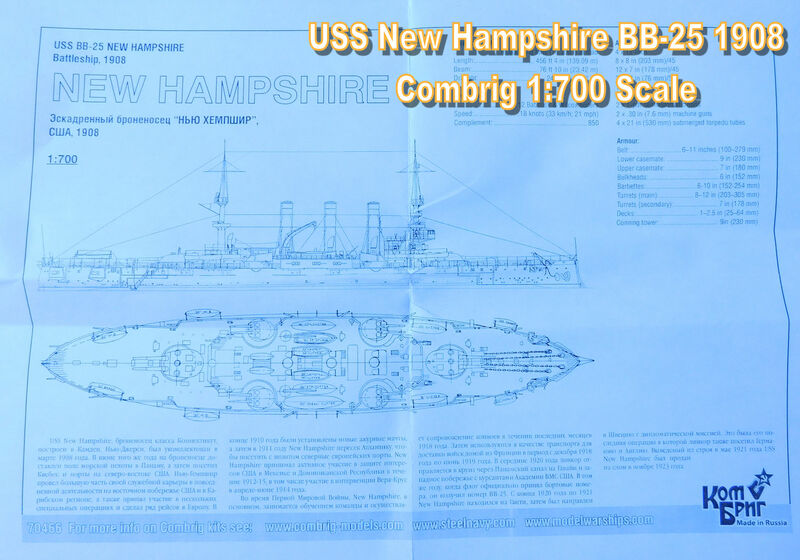 Hampshire (BB-25) was authorized on April 27, 1904, to become the last USN predreadnought. 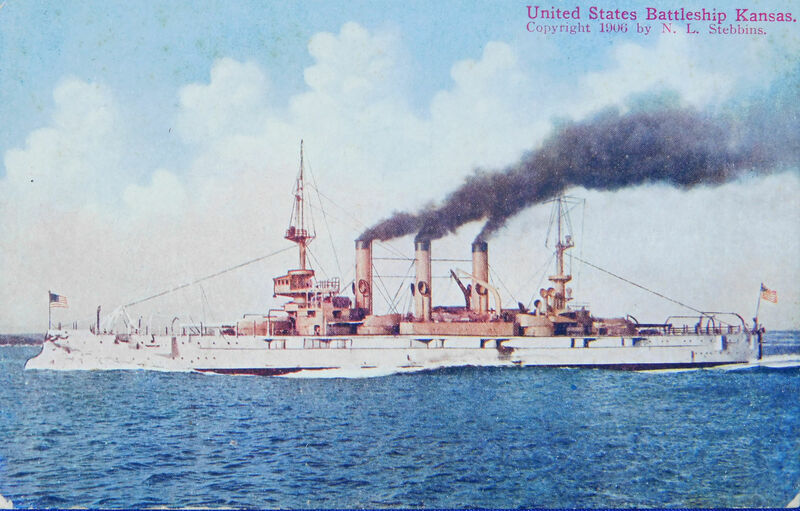 Navy Yard from December 23, 1911 to March 24, 1912. 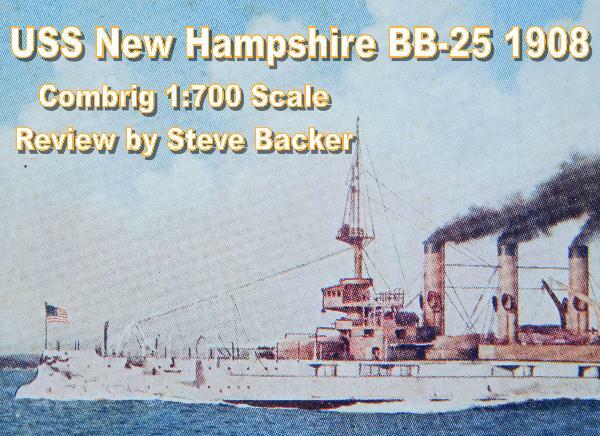 January 17, 1921 she was back at Norfolk and on January 25 left, carrying the body of the Swedish Foreign Minister to Stockholm, which was reached on February 14.
in 1886, long before Jane’s Fighting Ships appeared. 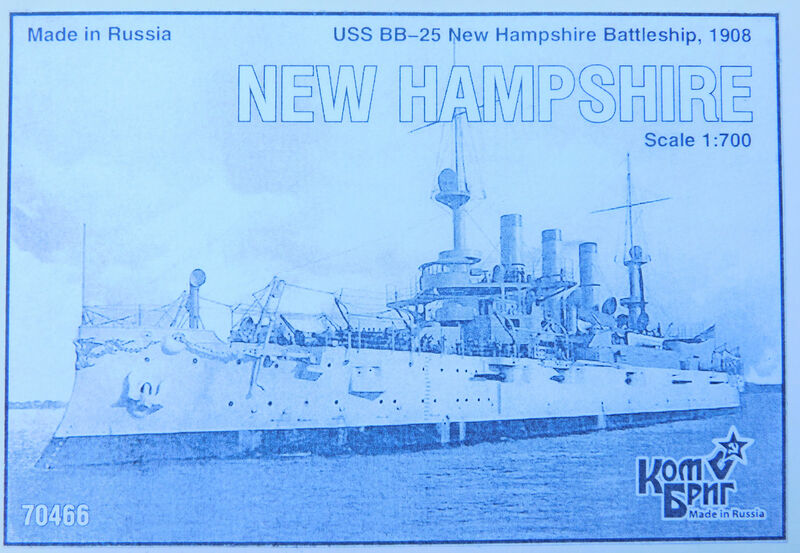 Having purchased The Naval Annual 1915, I was happily surprised when I opened the book to the inside cover. 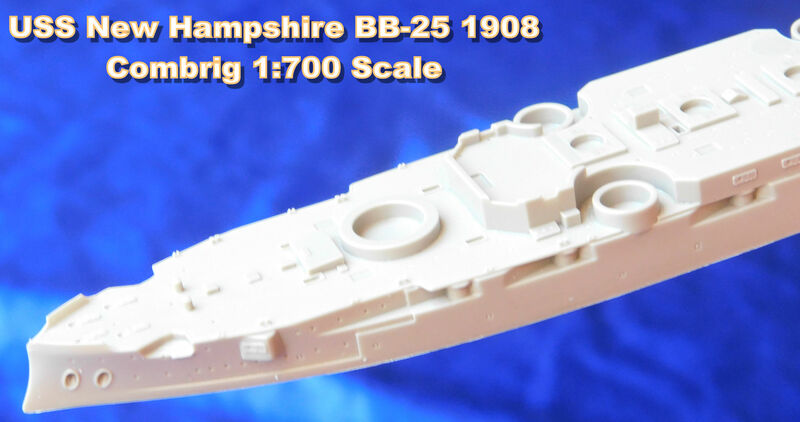 model was free from damage or casting voids. 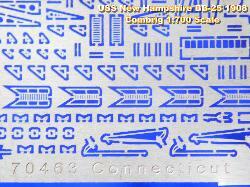 start of a line of exhaust scuttles that start at the bow and end at the stern. 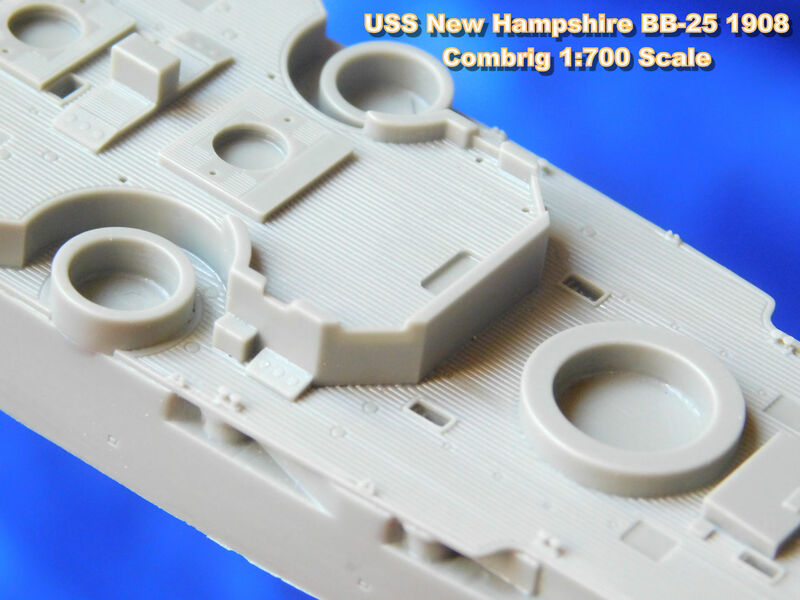 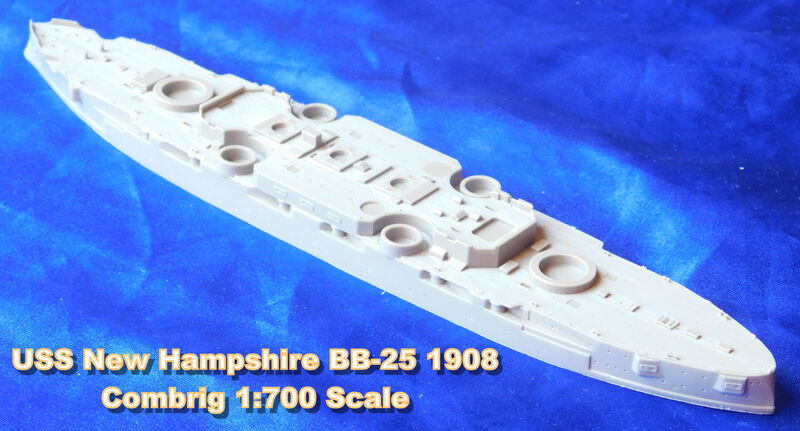 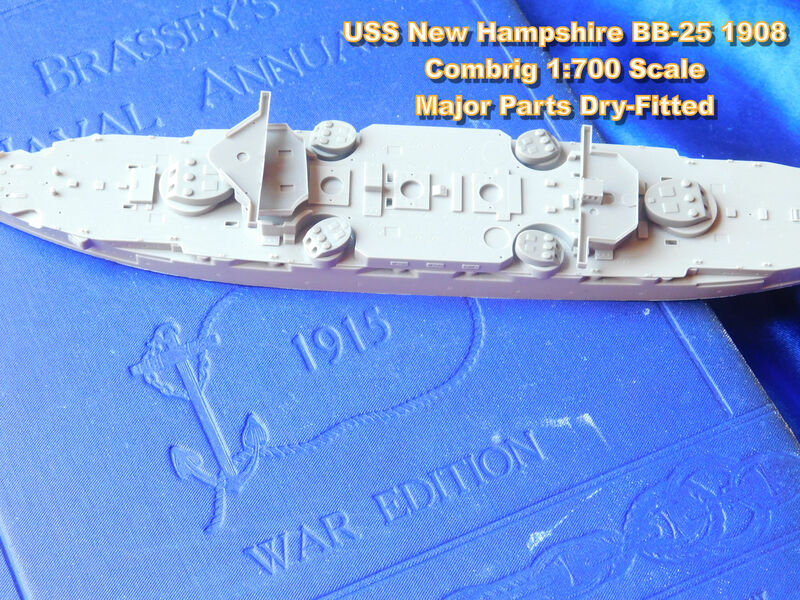 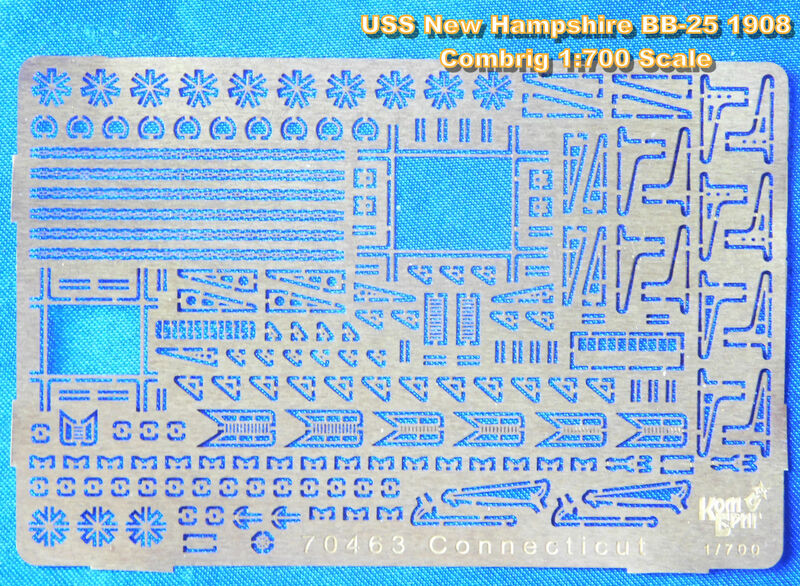 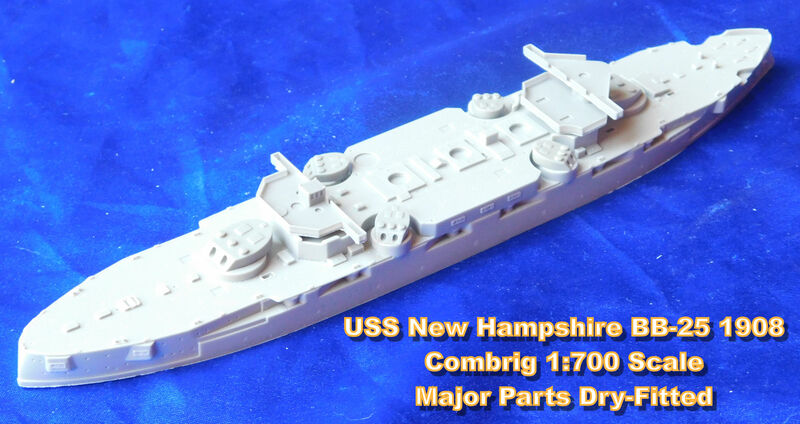 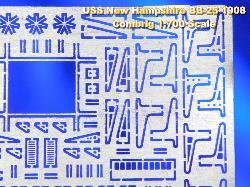 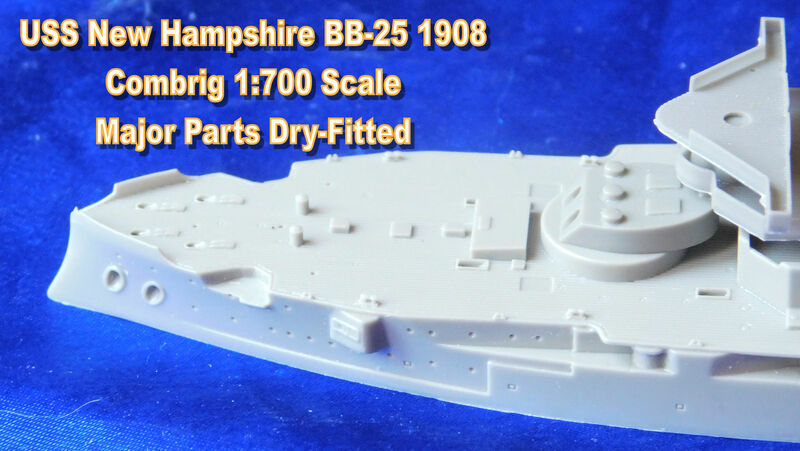 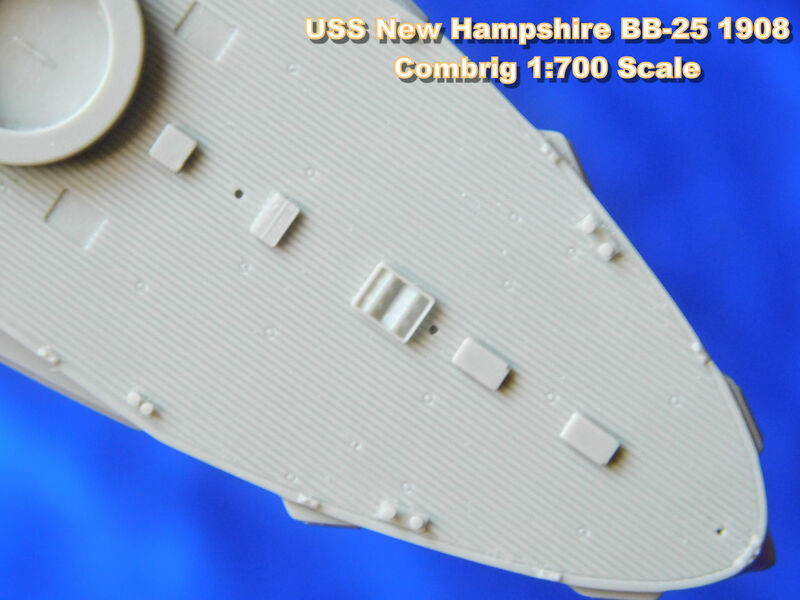 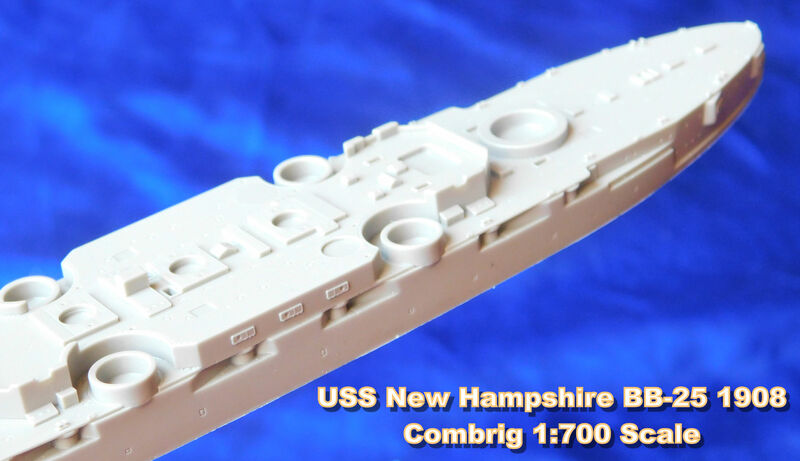 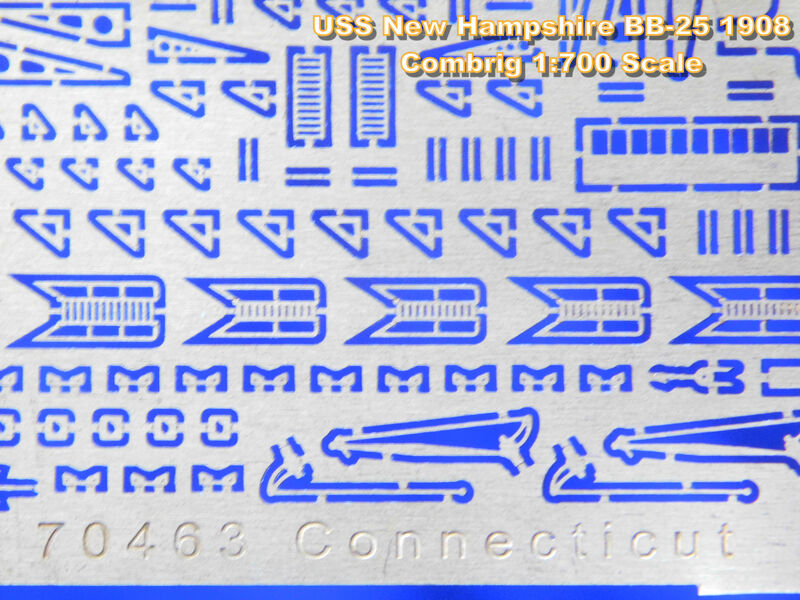 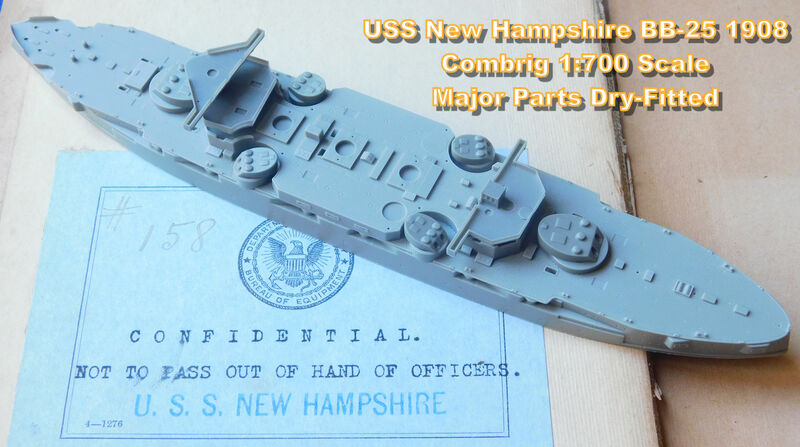 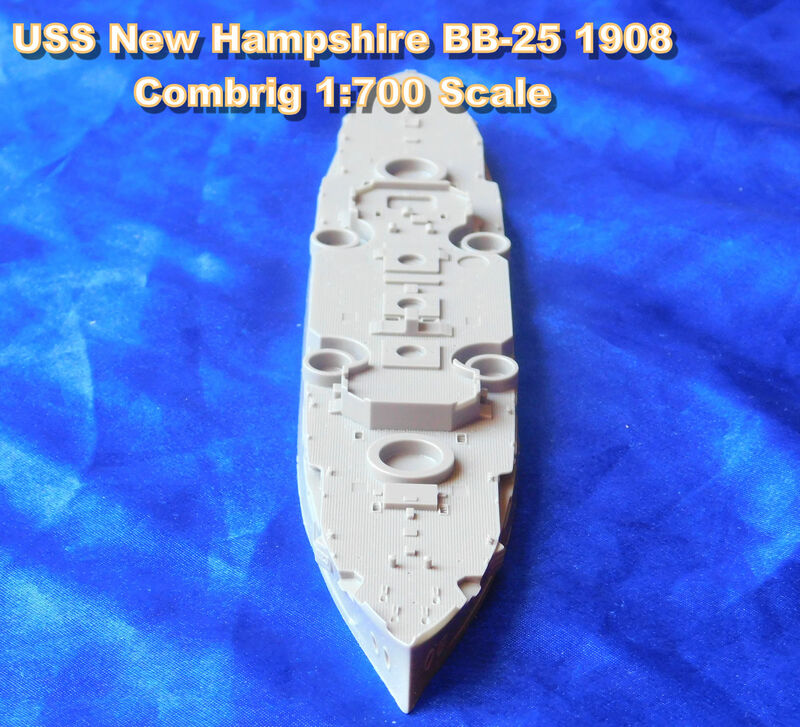 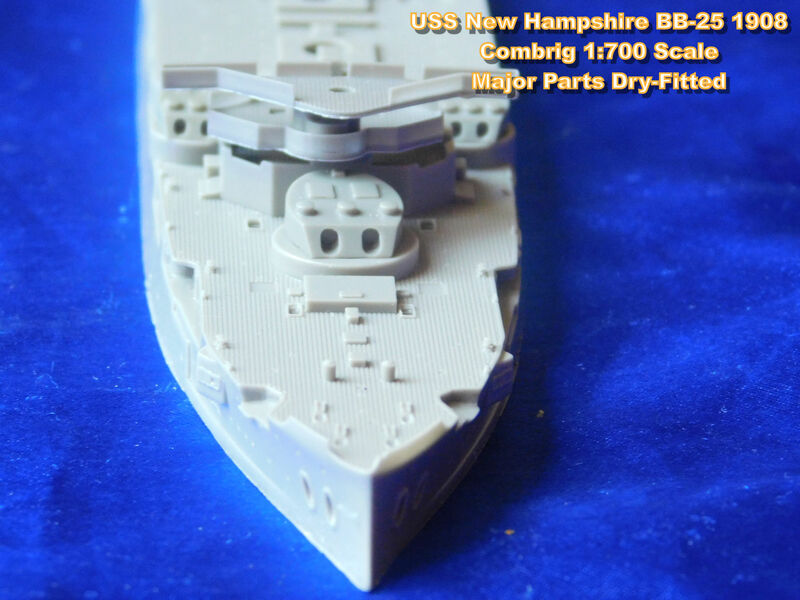 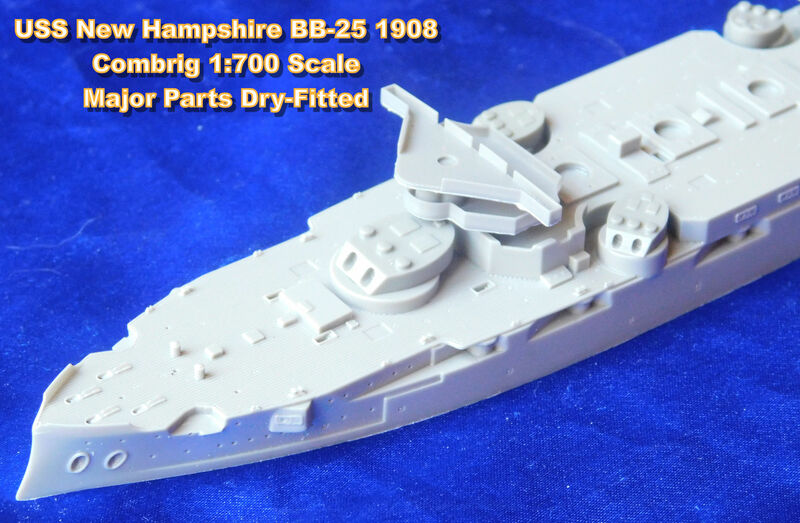 The long amidships portion of the hull has the six casemates for 7-inch guns on each side. 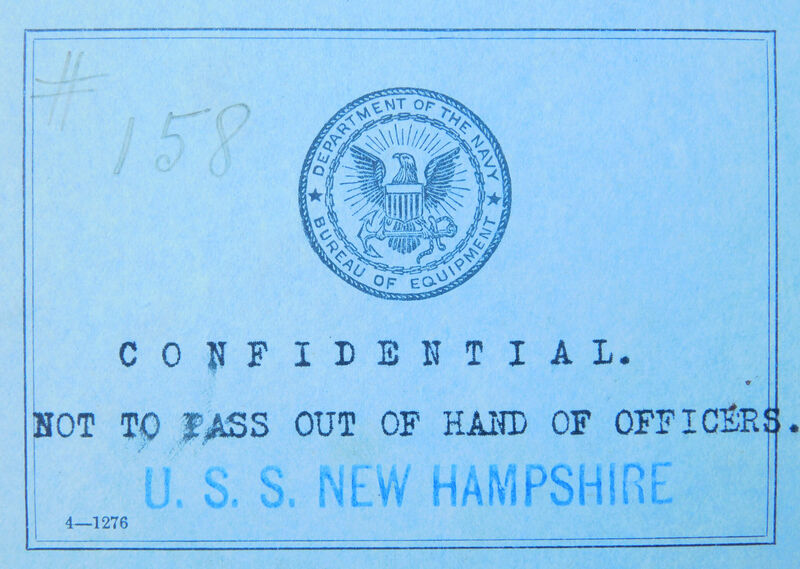 sides. 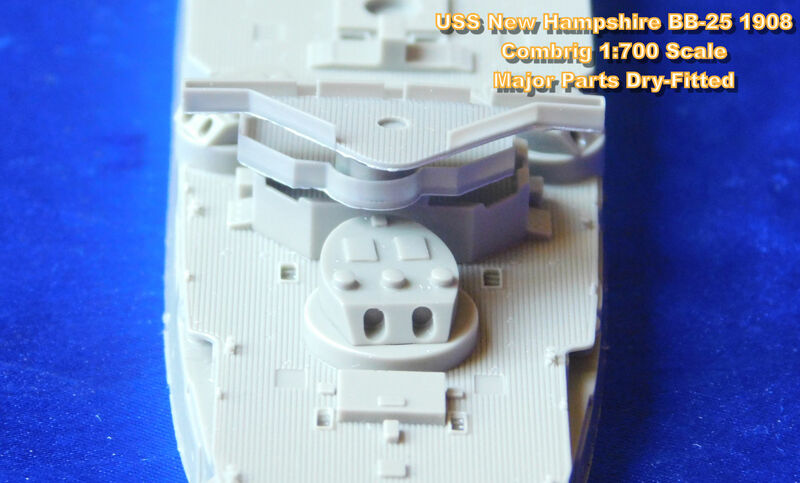 The armored belt is sharply delineated. 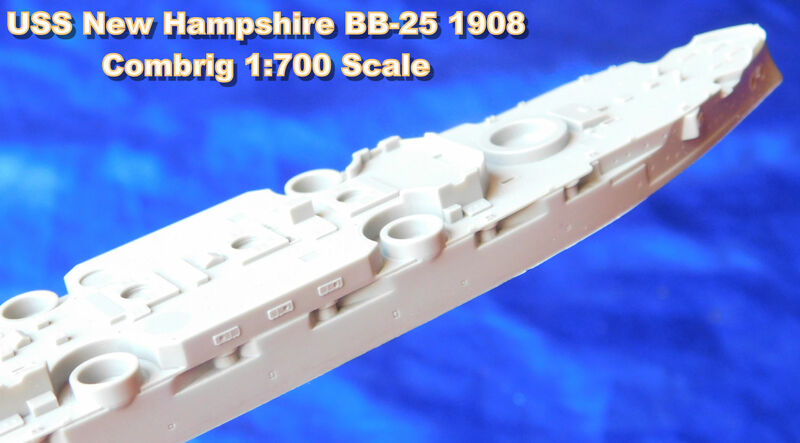 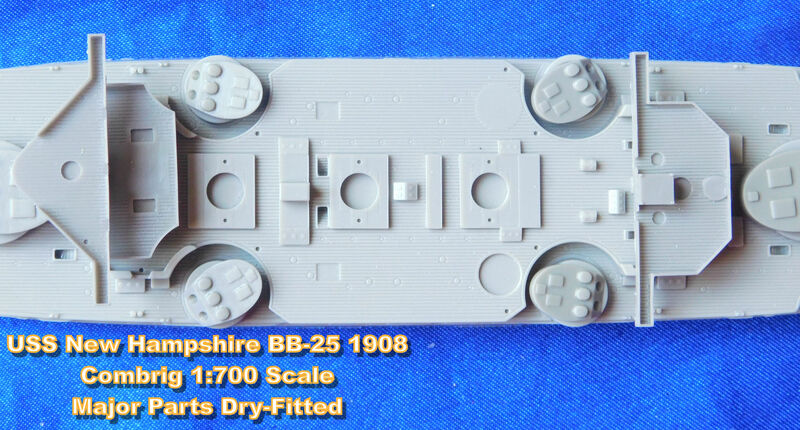 The rear hull picks up on the two rows of portholes but has two 3-inch tertiary casemates on each side. 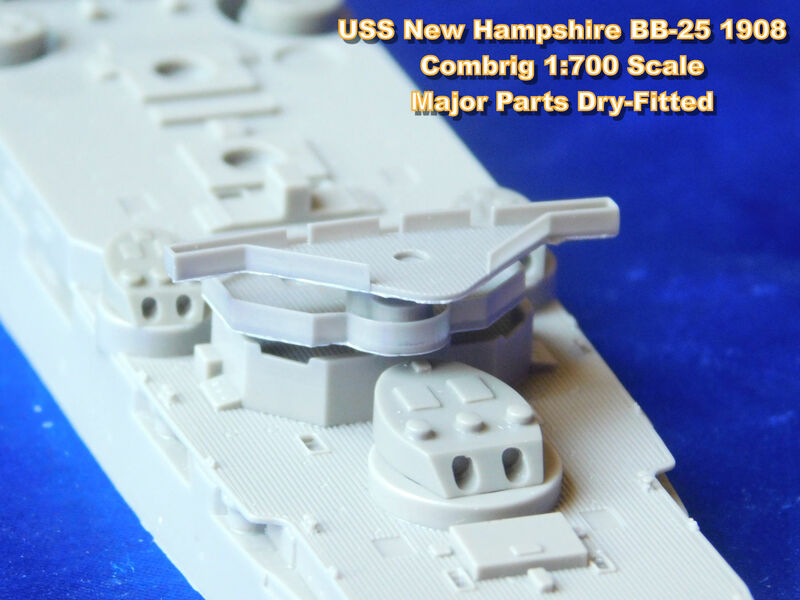 closed deck access fittings with skylight window details. 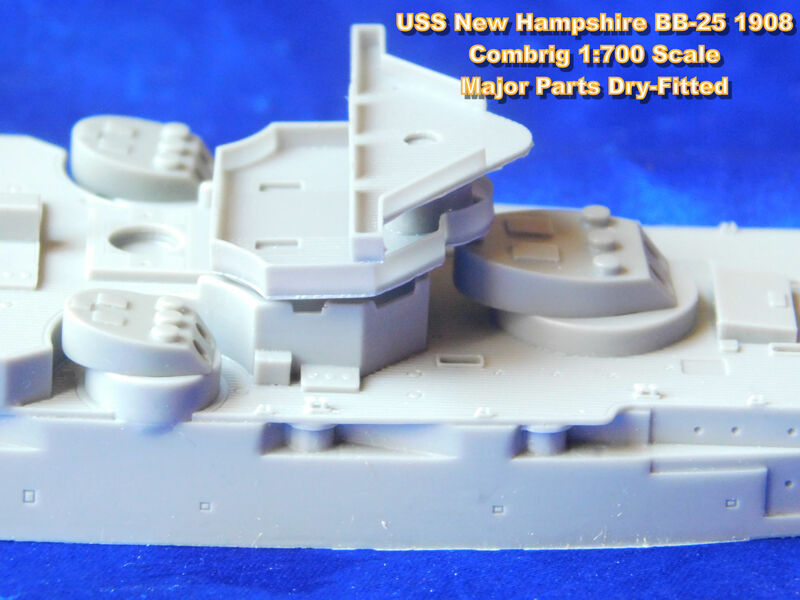 Also, there is a locker on each side of the superstructure. 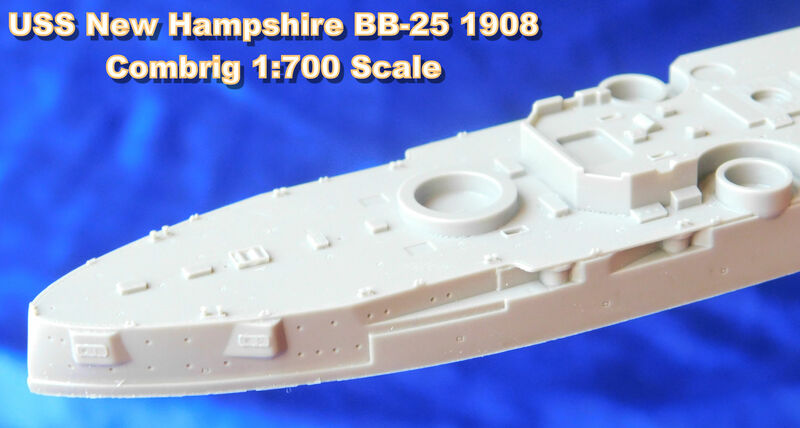 The finely done coal scuttles start on the forecastle. 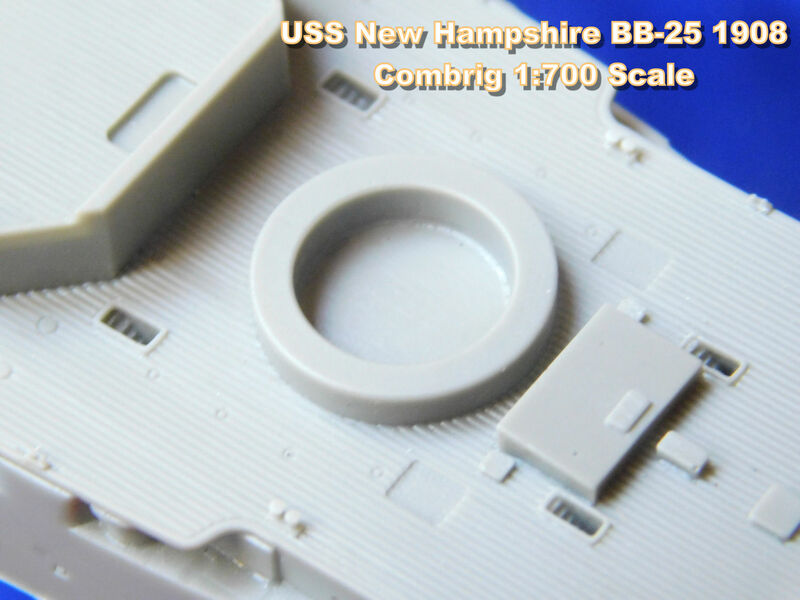 hatches with porthole detail are on each side of this base is found between the first and second funnels. 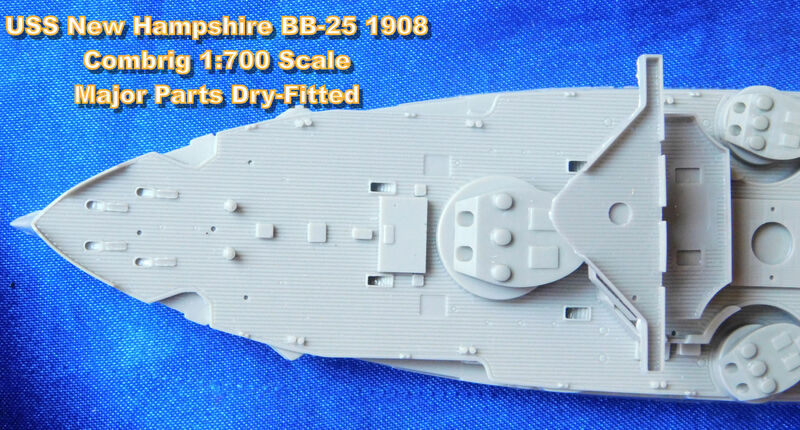 A skylight fitting is found between the second and third funnels. 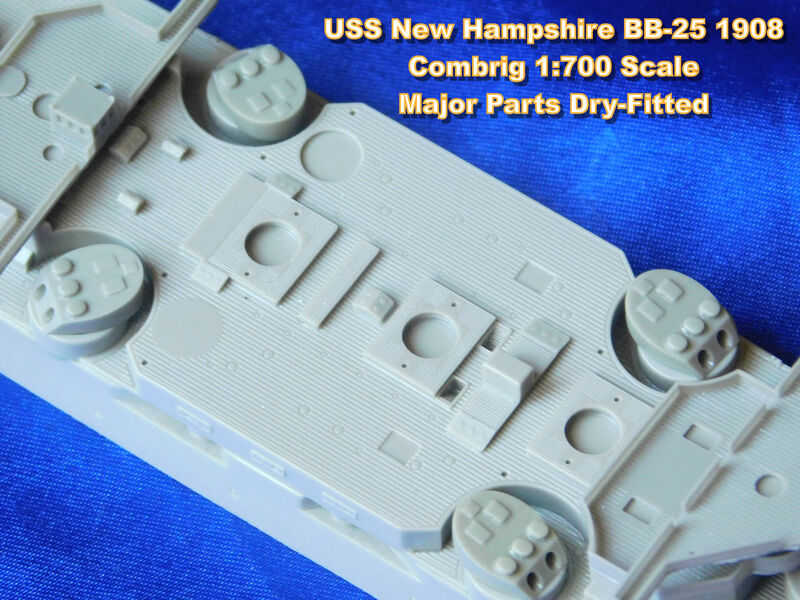 fittings, a series of skylights on centerline, winch base plates, the last of the coal scuttles, bollards, open chocks, and coamings. 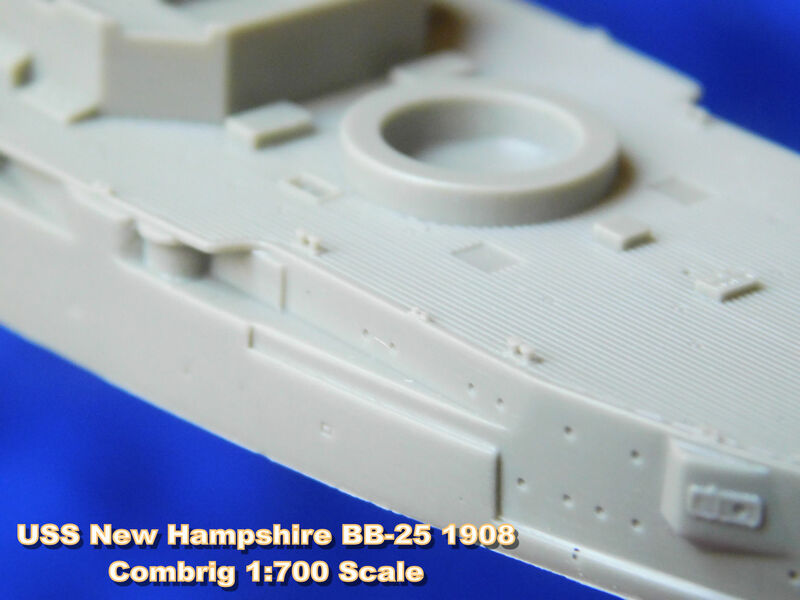 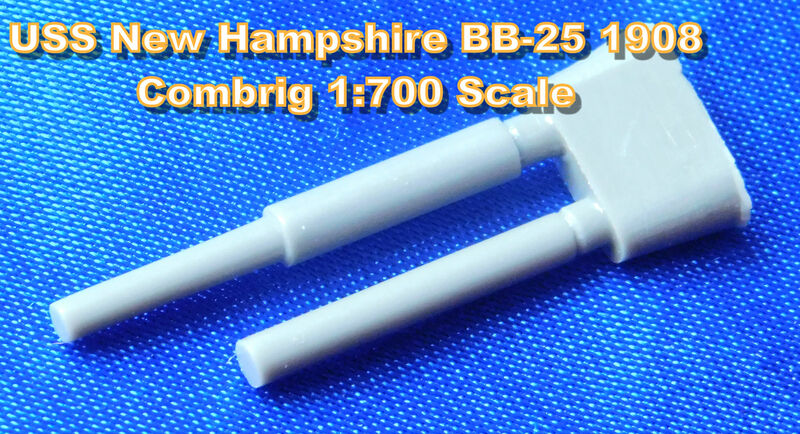 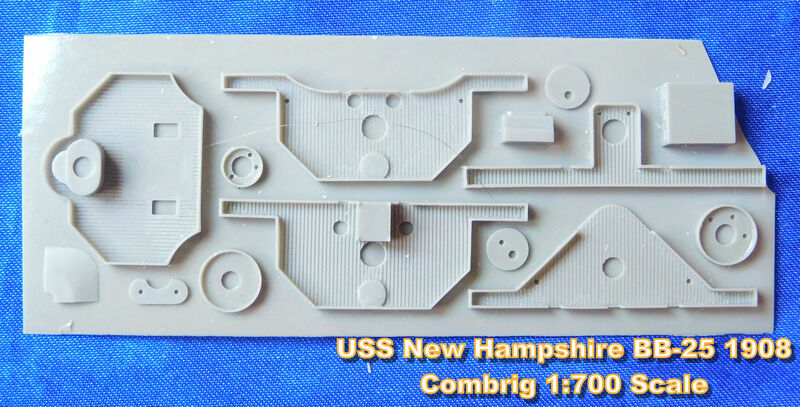 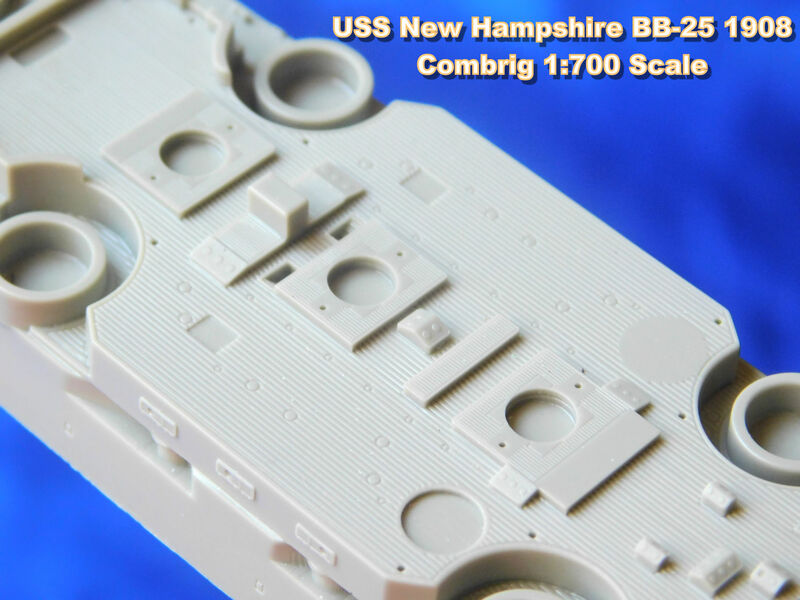 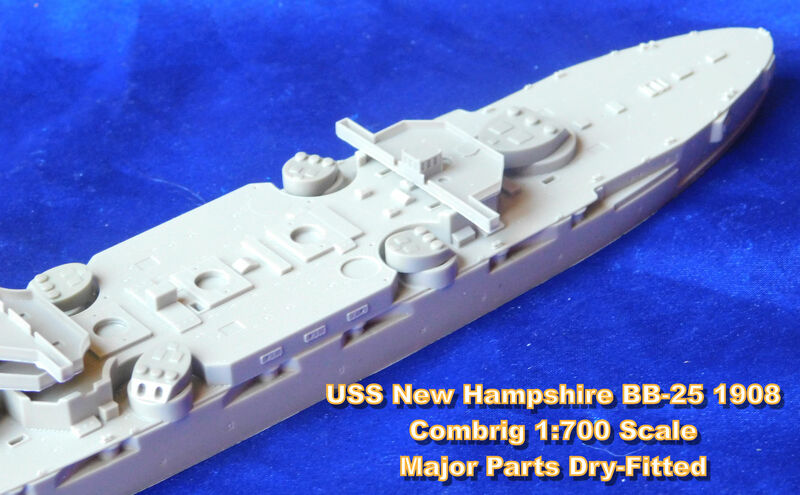 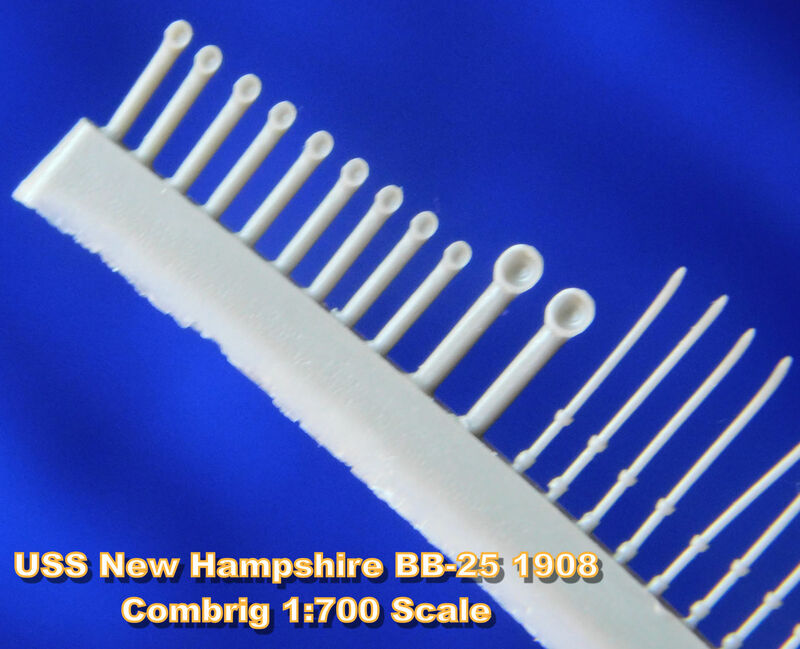 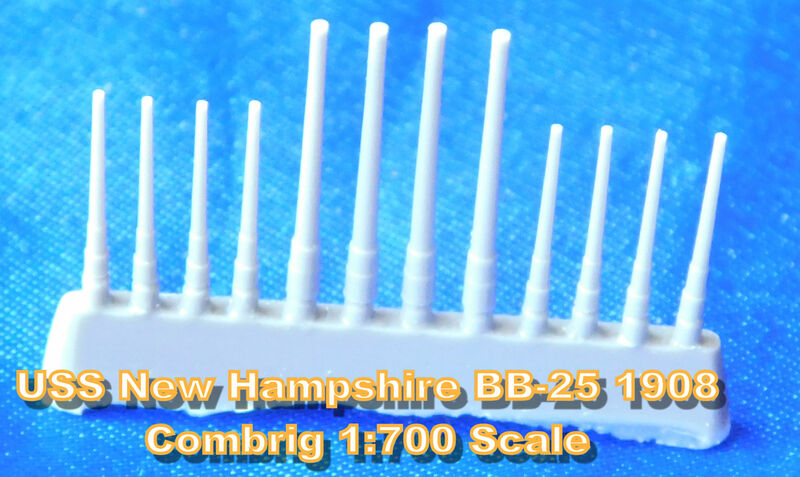 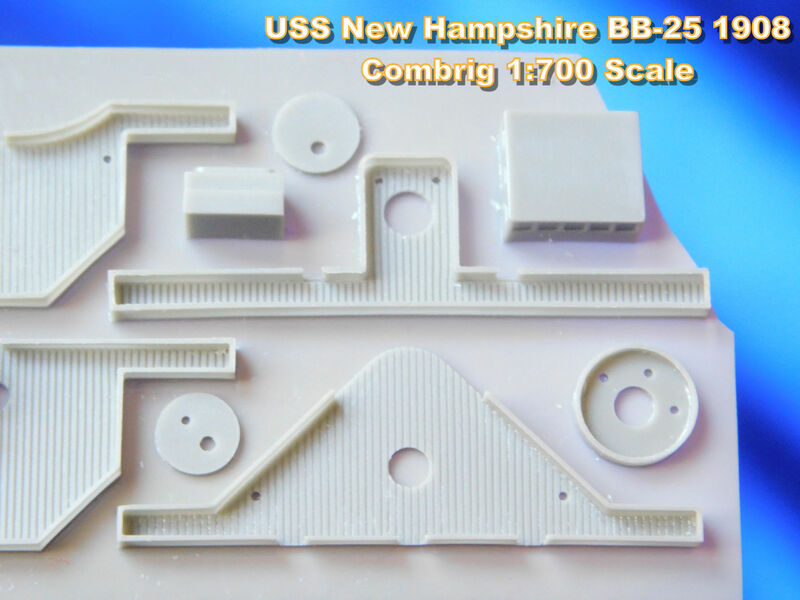 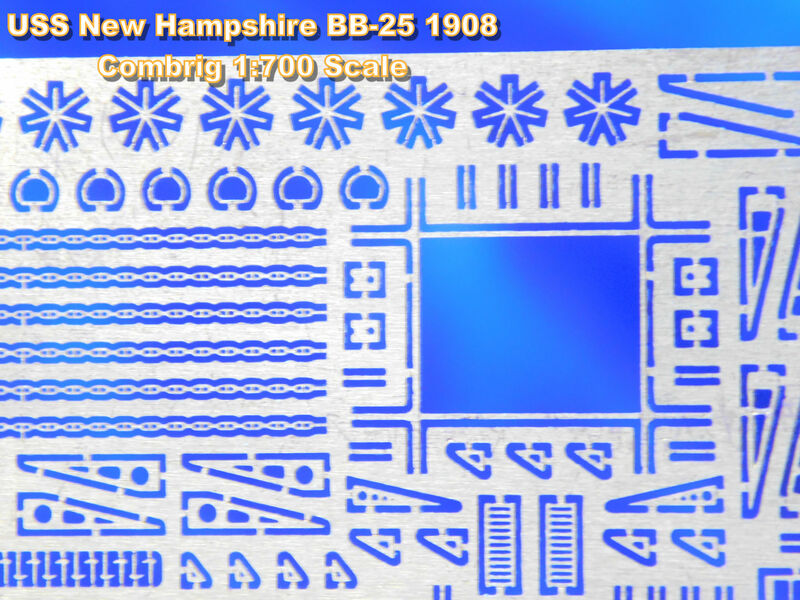 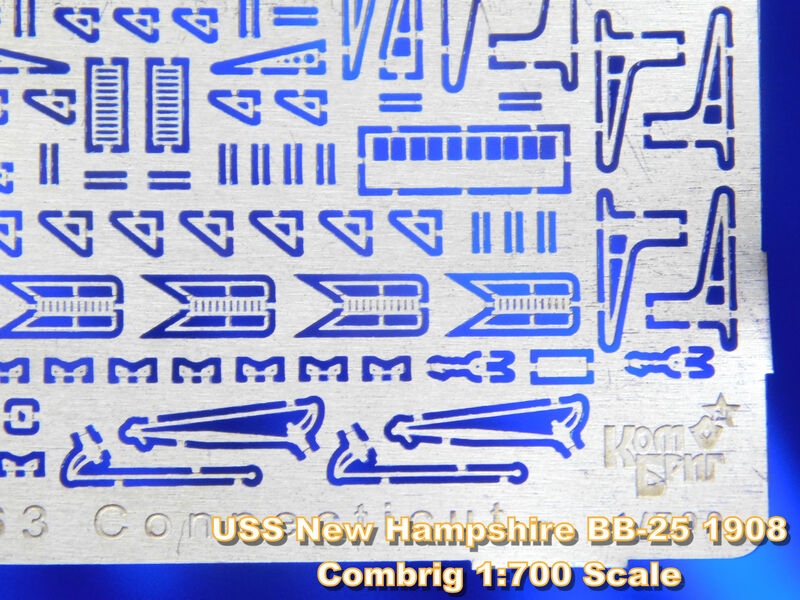 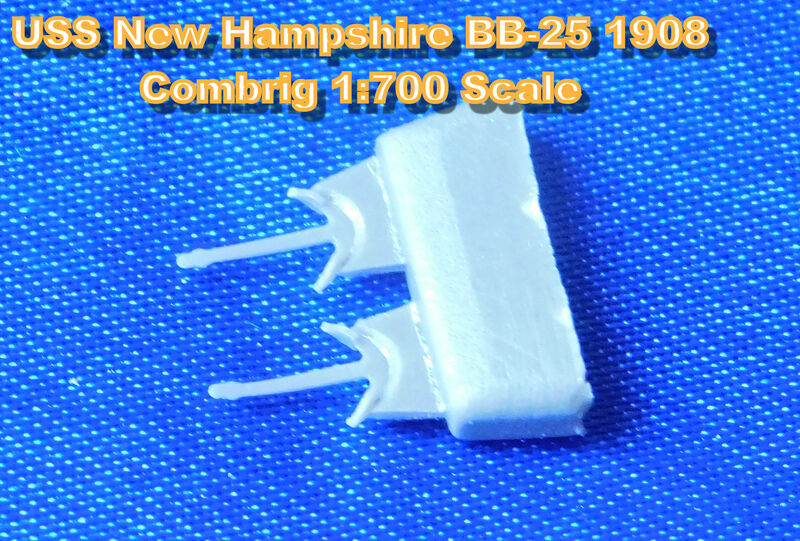 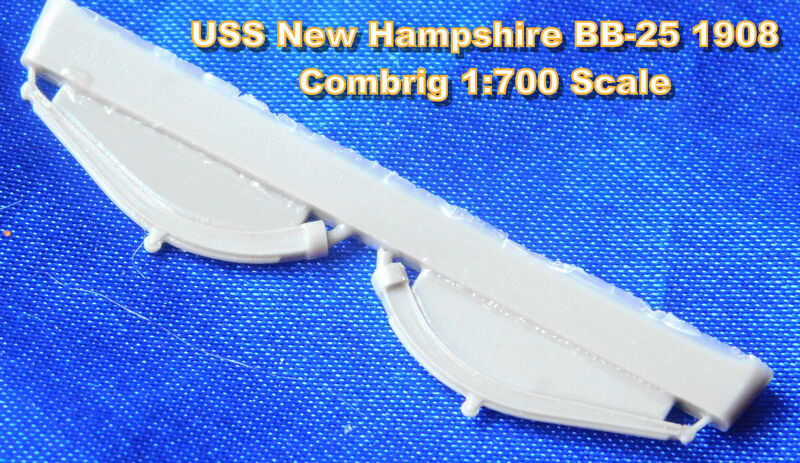 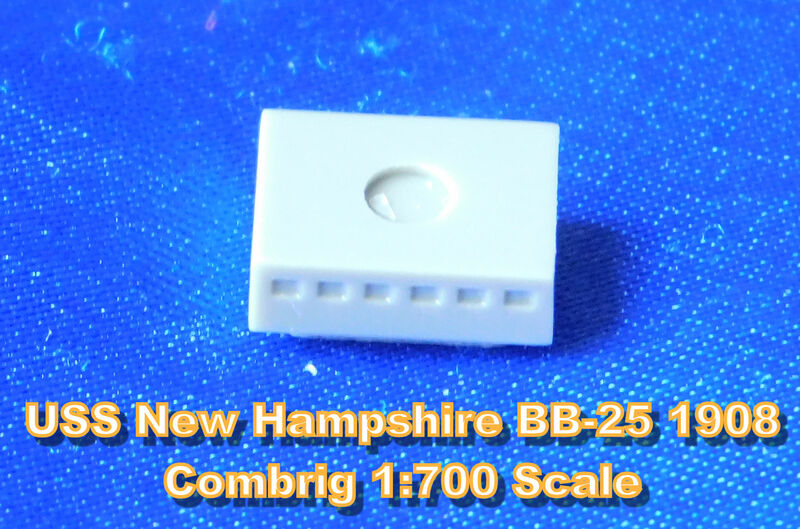 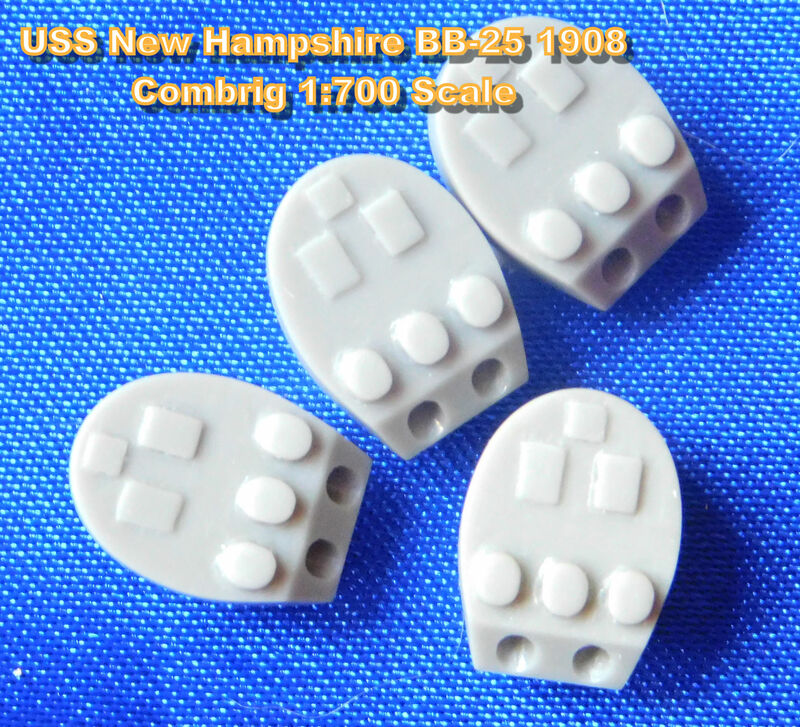 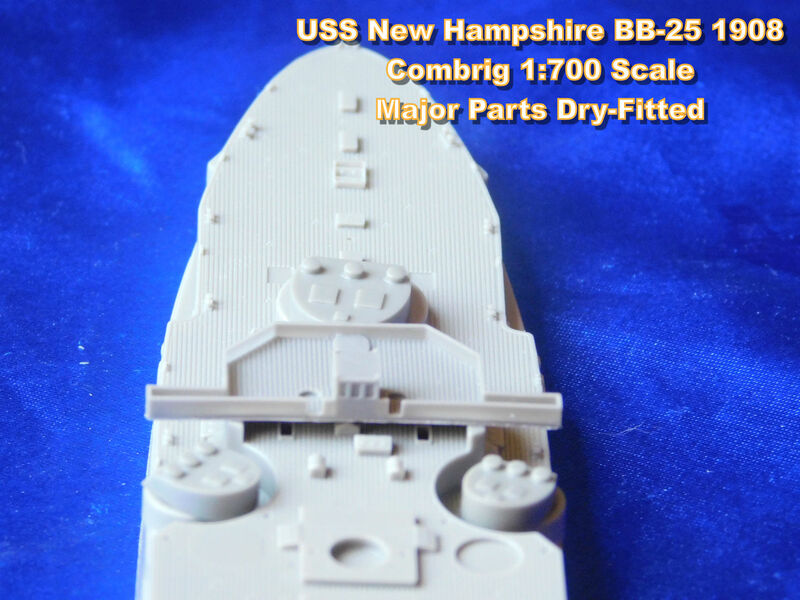 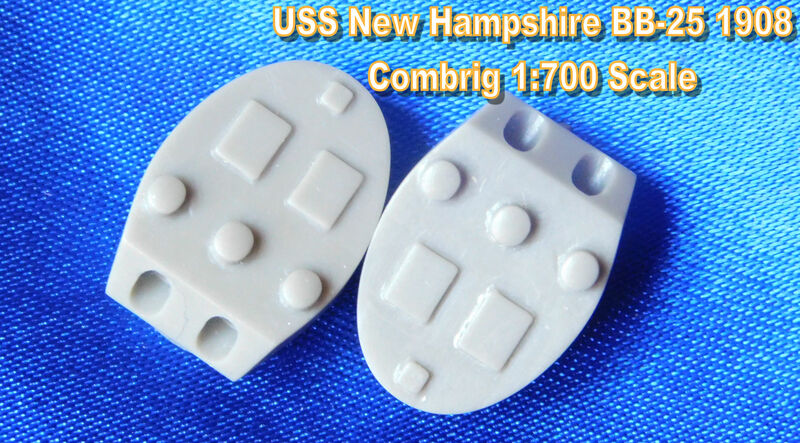 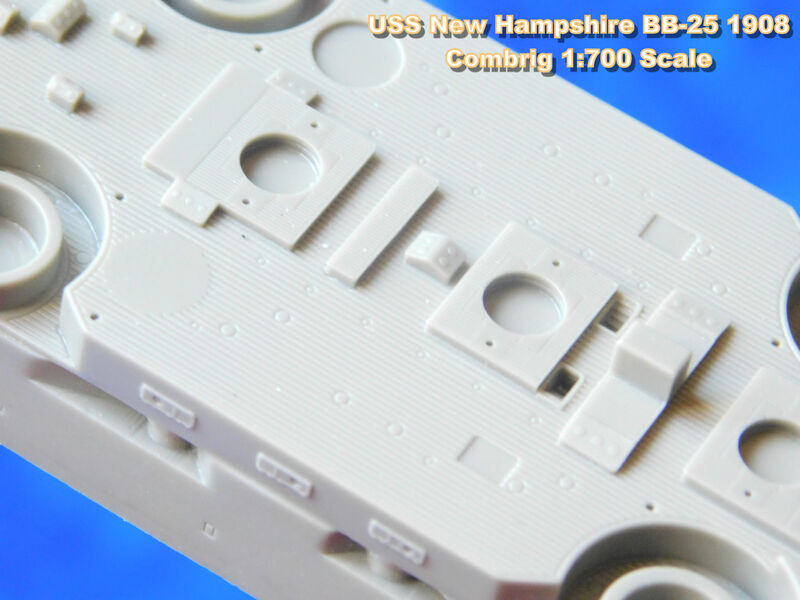 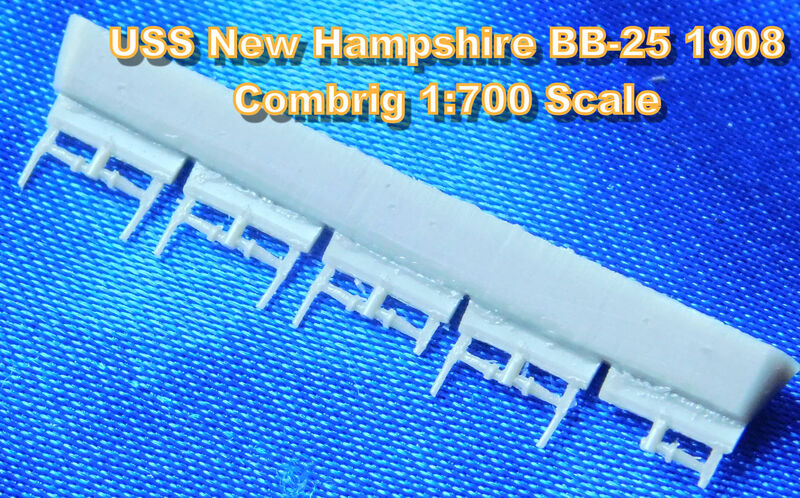 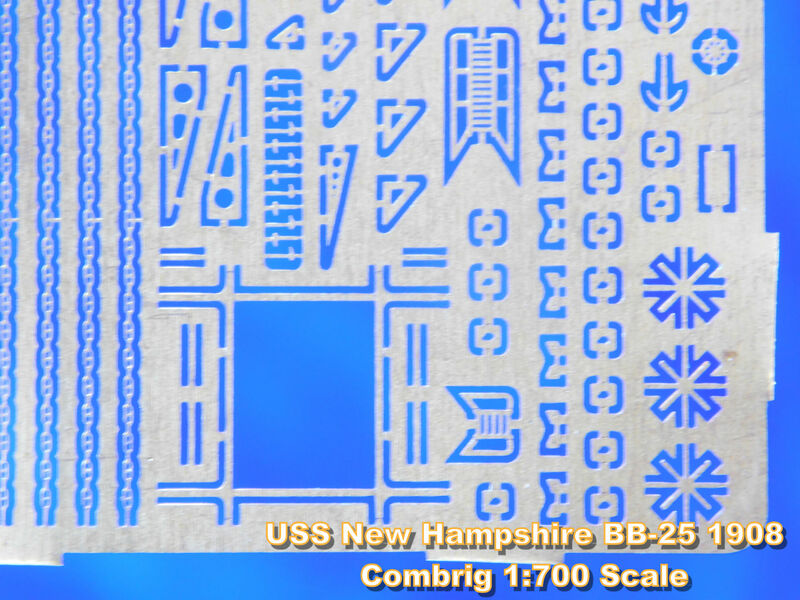 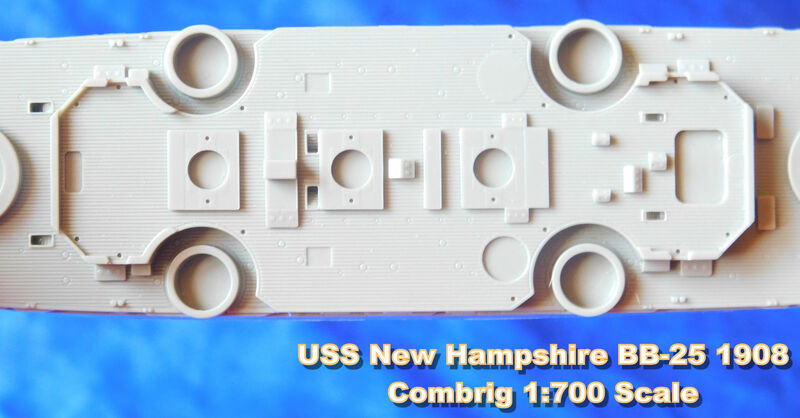 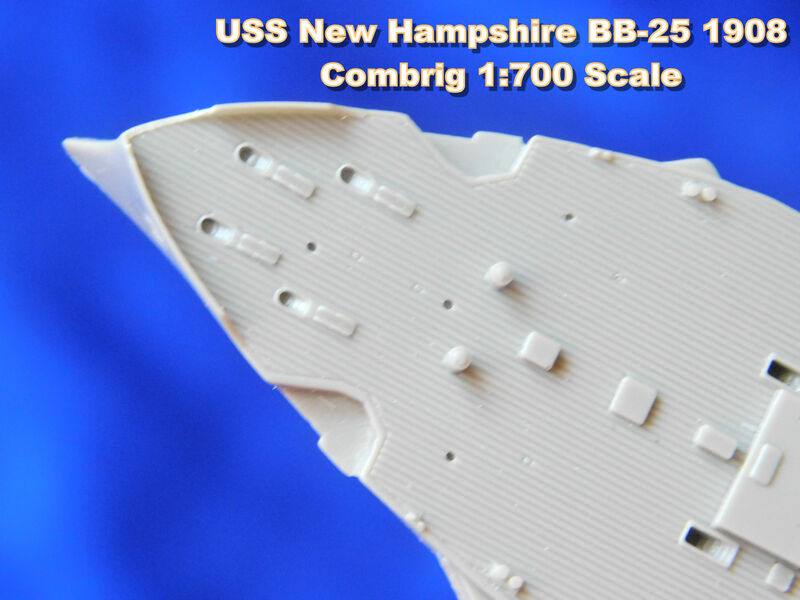 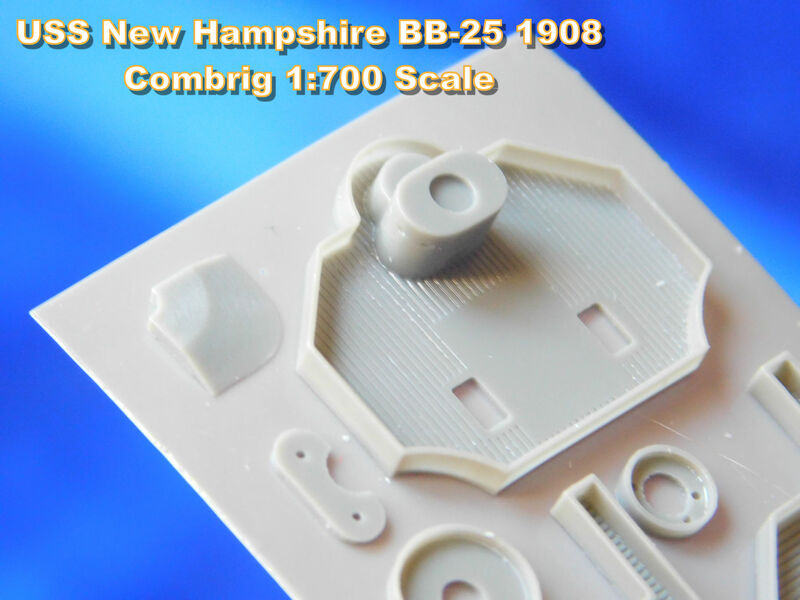 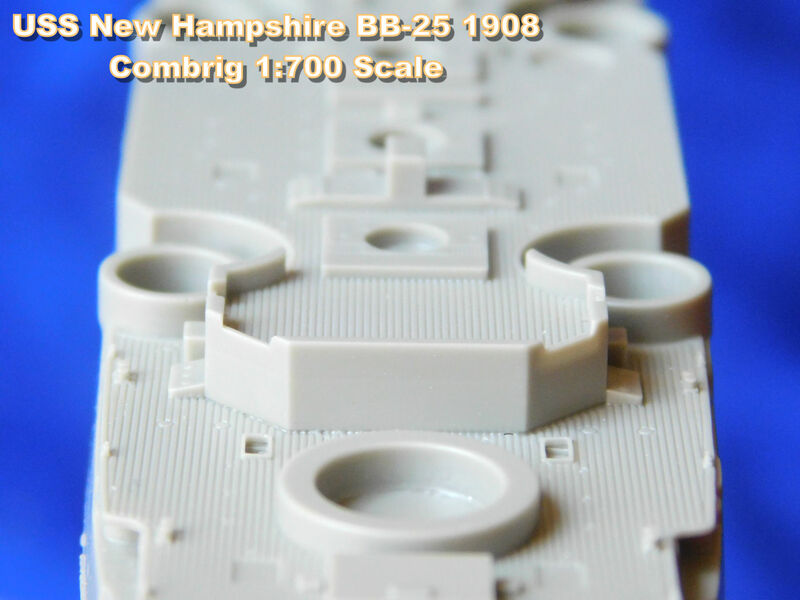 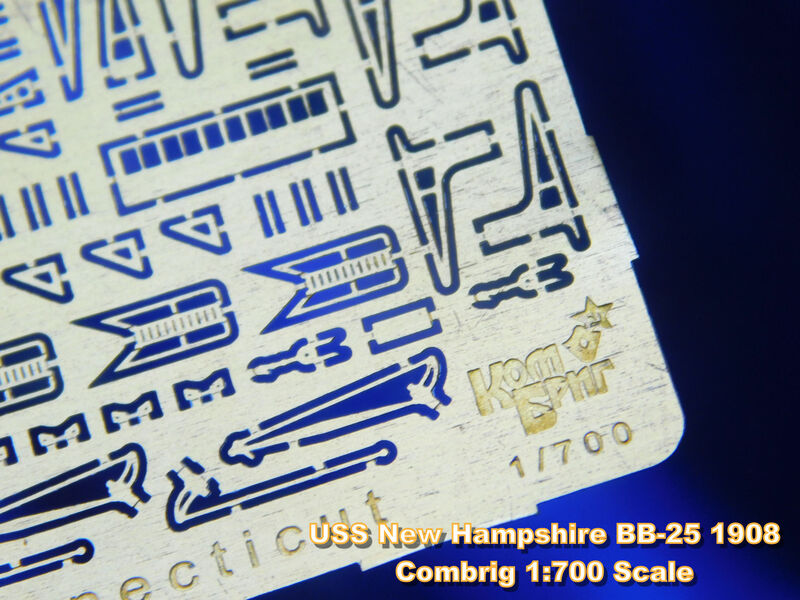 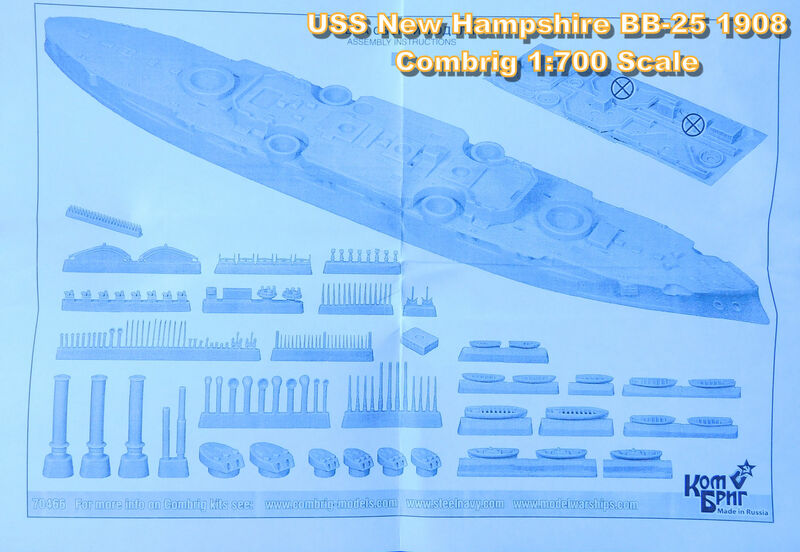 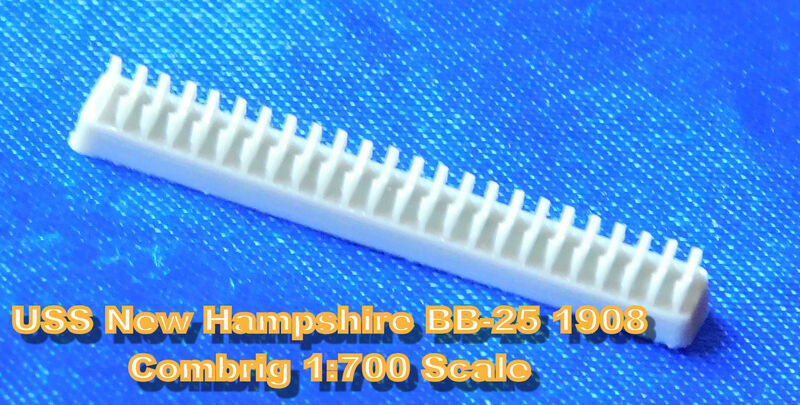 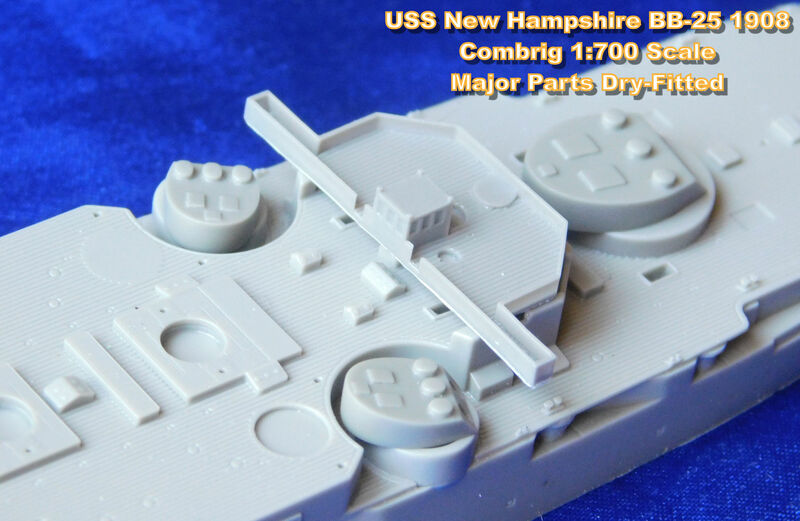 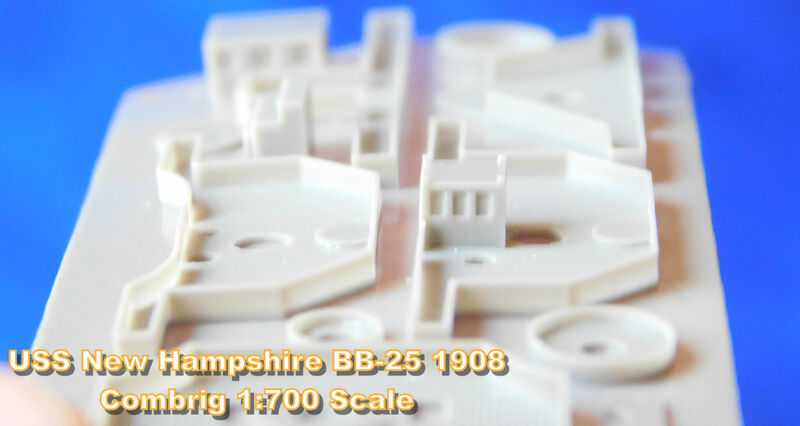 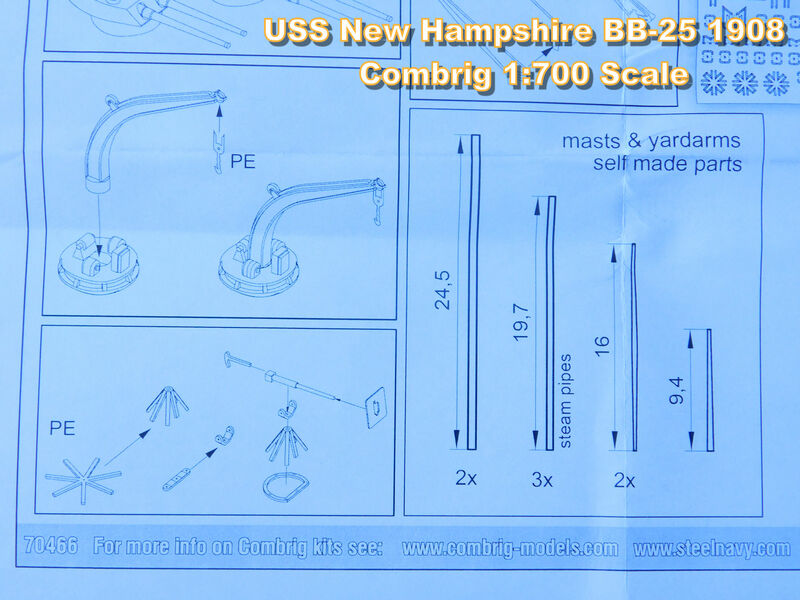 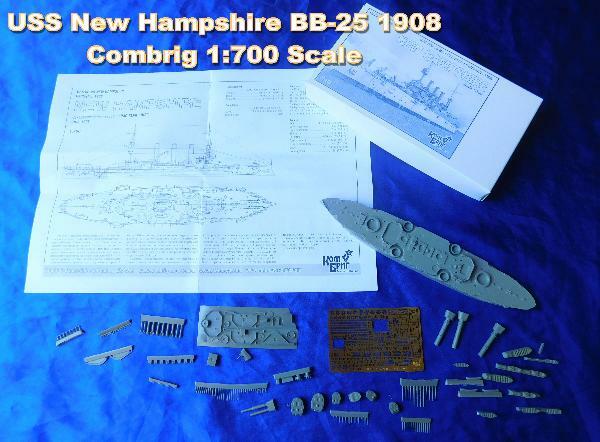 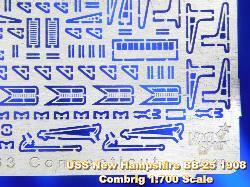 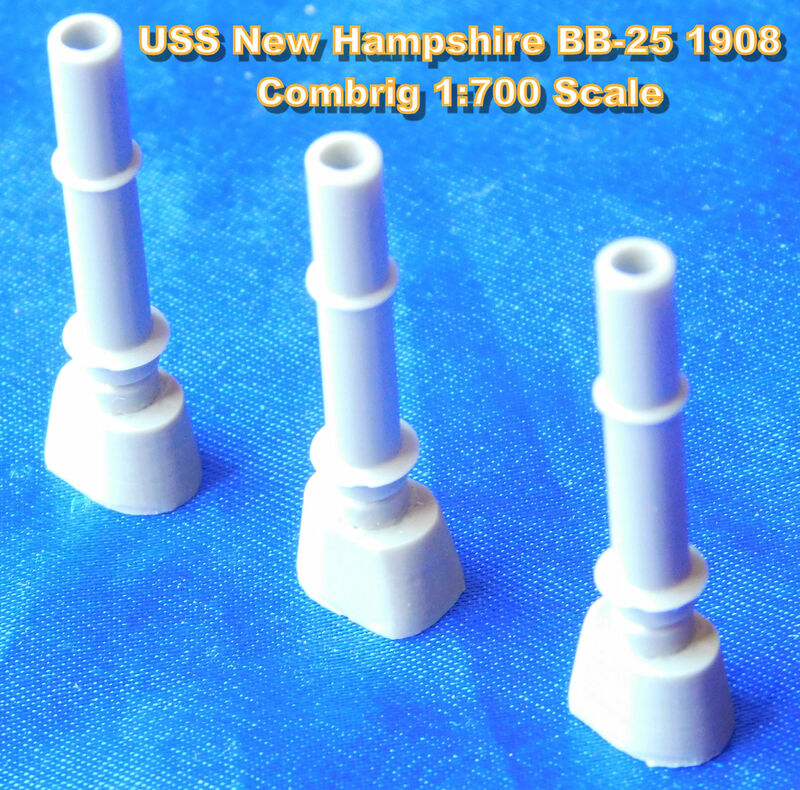 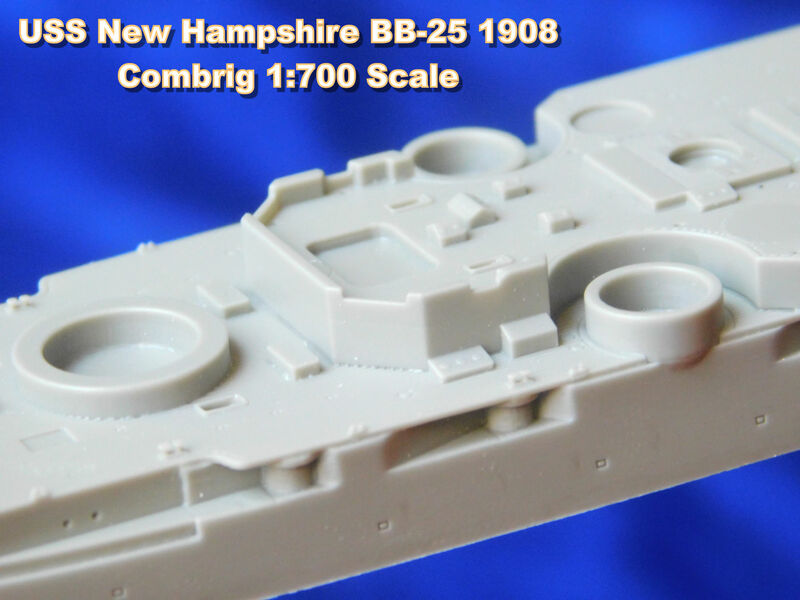 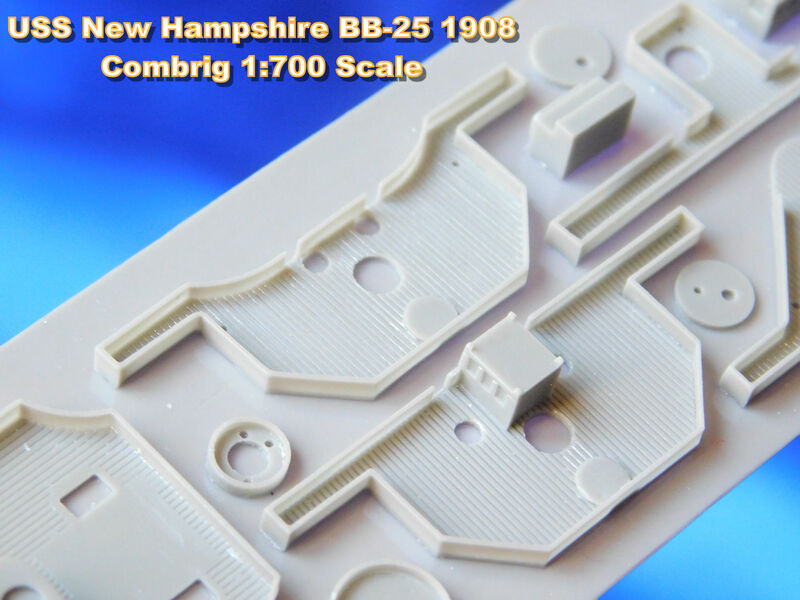 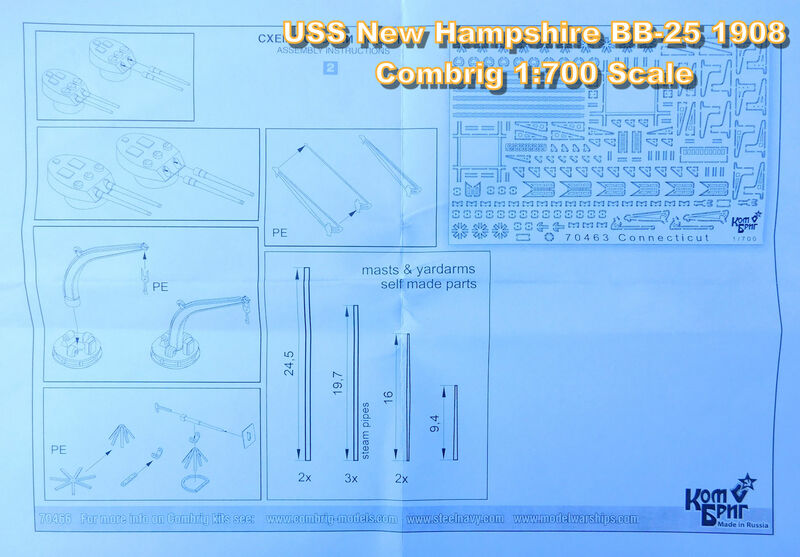 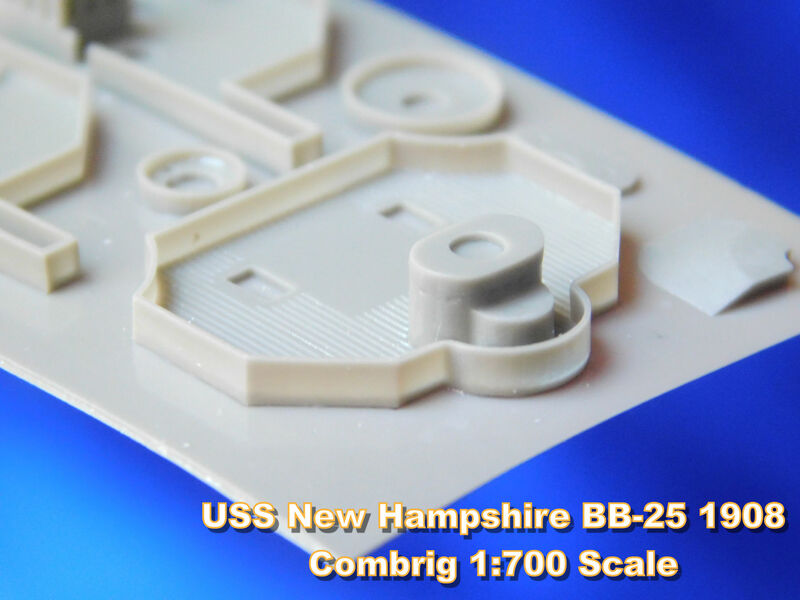 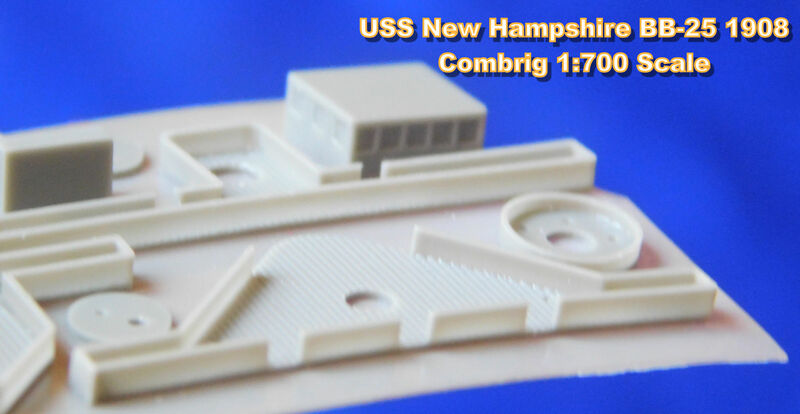 As usual with Combrig, the smaller resin parts are cast in three formats, larger pieces separately on a casting plug, thin parts on a sheet and smaller parts on runners. 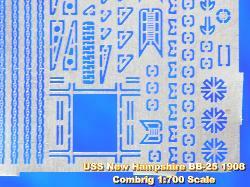 the sheet. 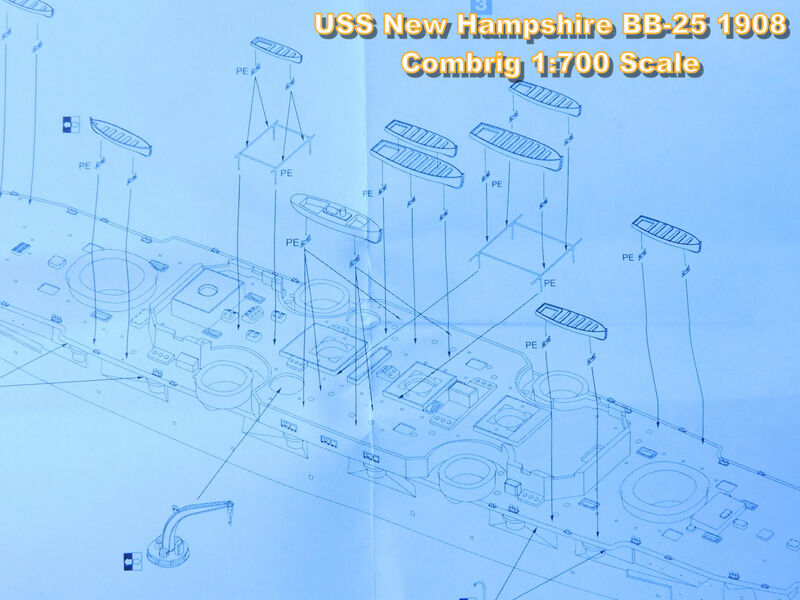 The forward superstructure also has a large chart house with square windows that fits on the bridge and navigation position overhead are also on the sheet. 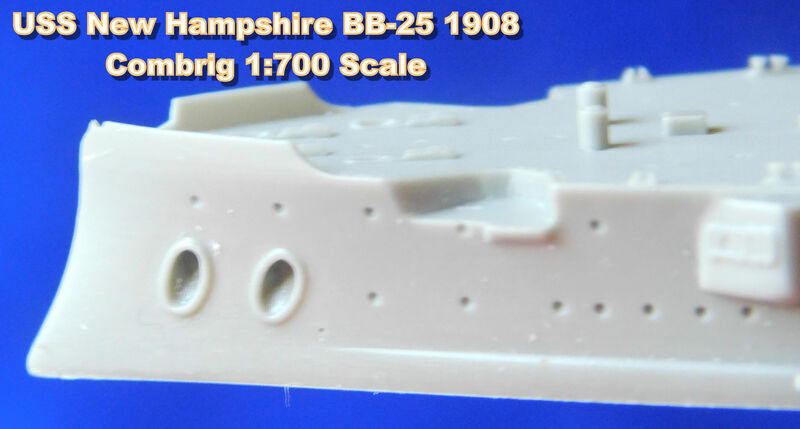 the part has a cutout designed to fit on one of the masts. 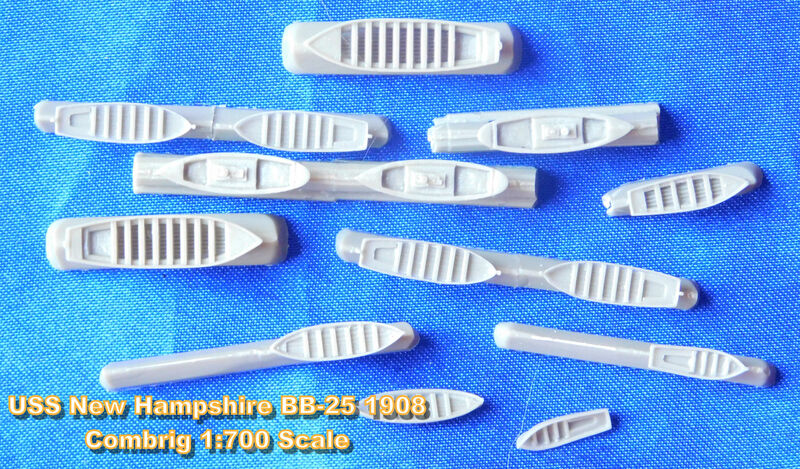 others have a variety of open boats from whaler to dinghy in size. 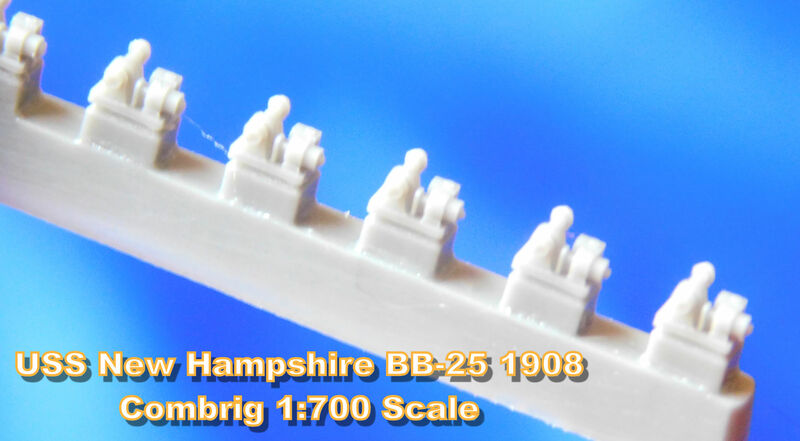 need to get 3rd party railing. 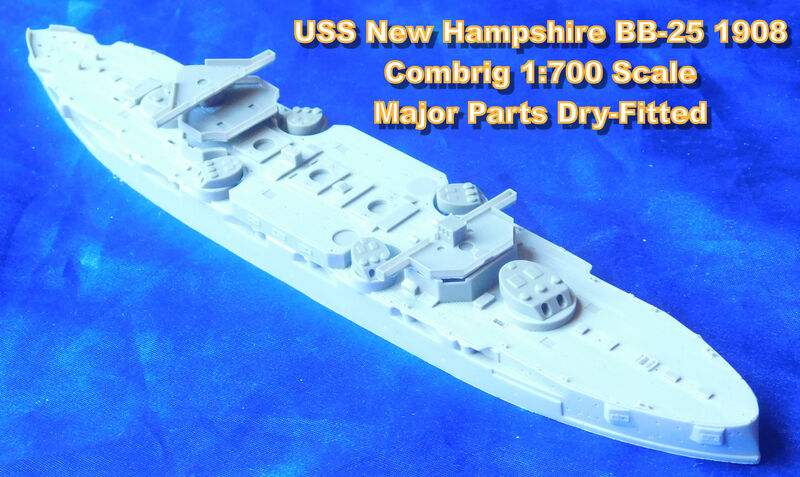 sisters of the Connecticut Class to give you variety in your fleet. 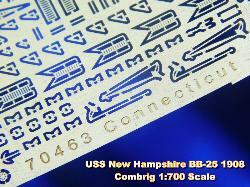 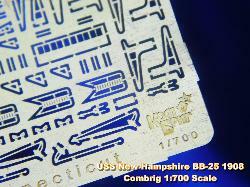 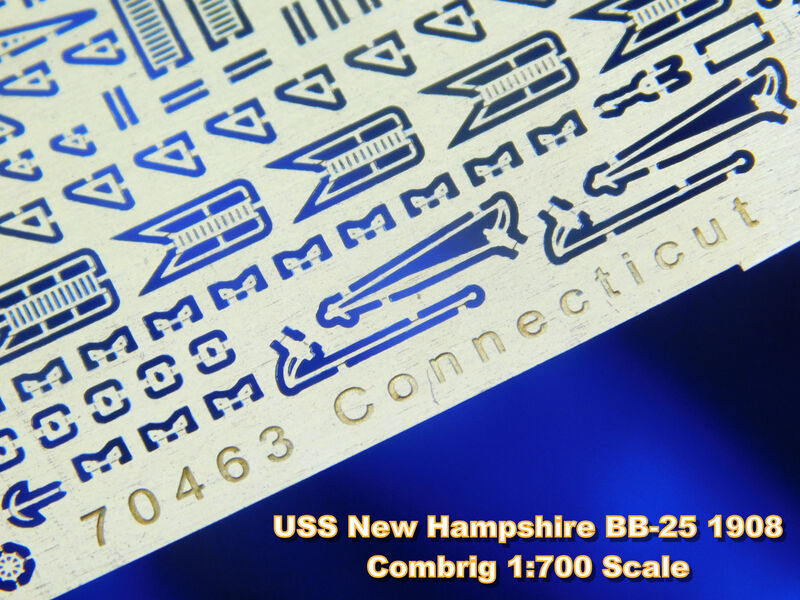 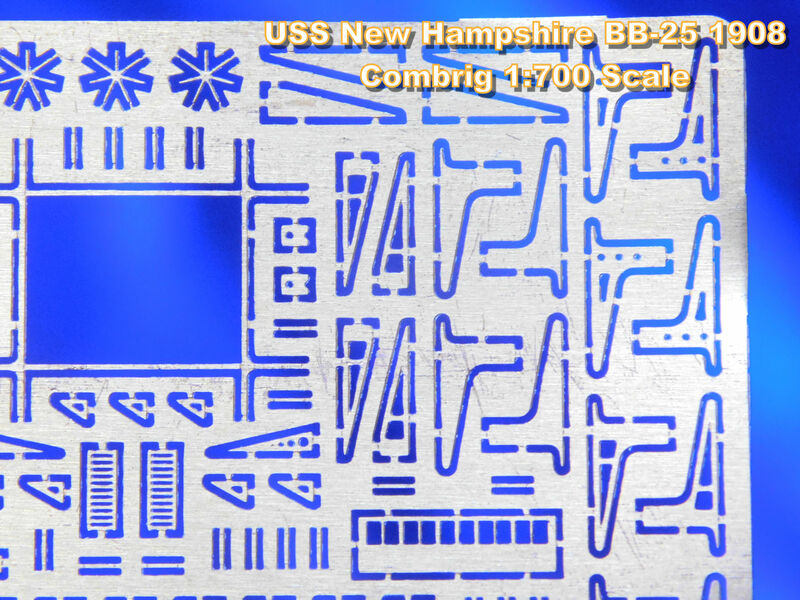 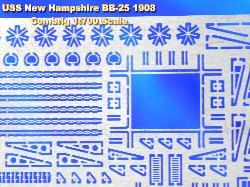 The kit has very fine resin parts, a good brass photo-etch fret but no photo-etch railing.